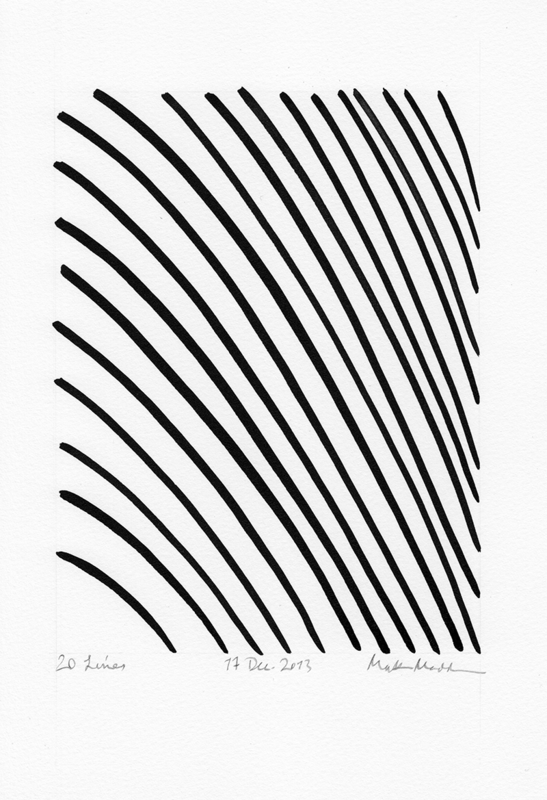 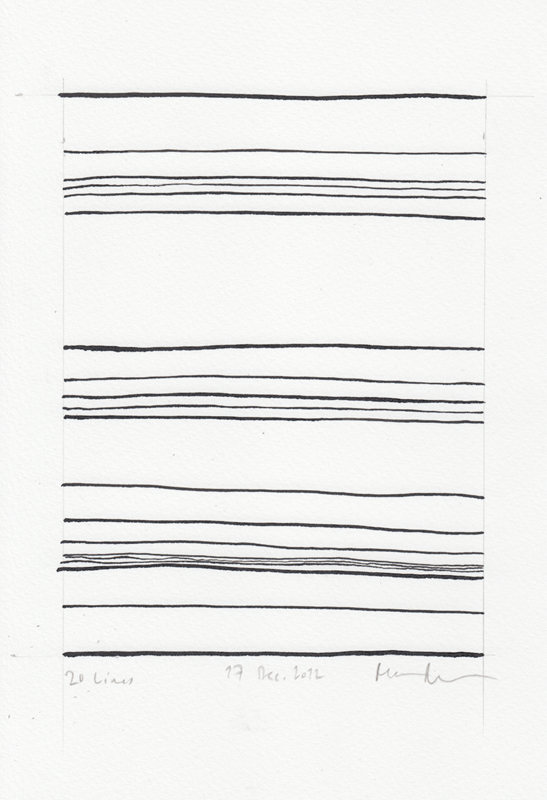 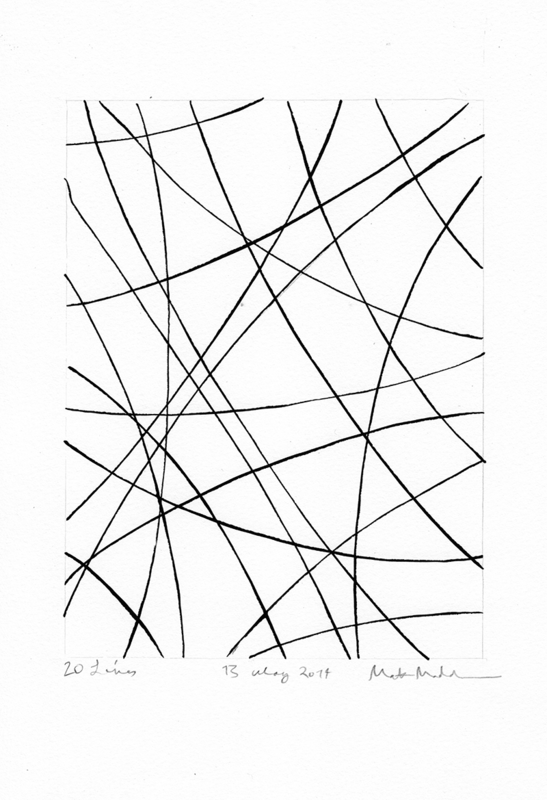 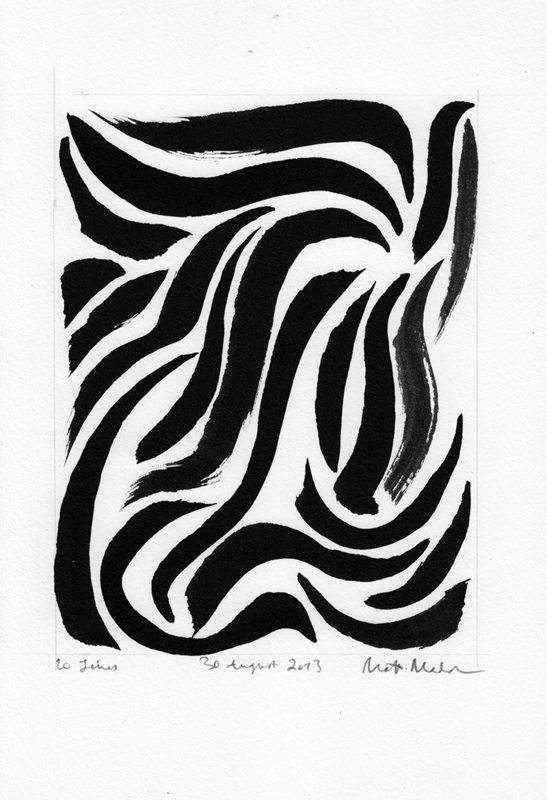 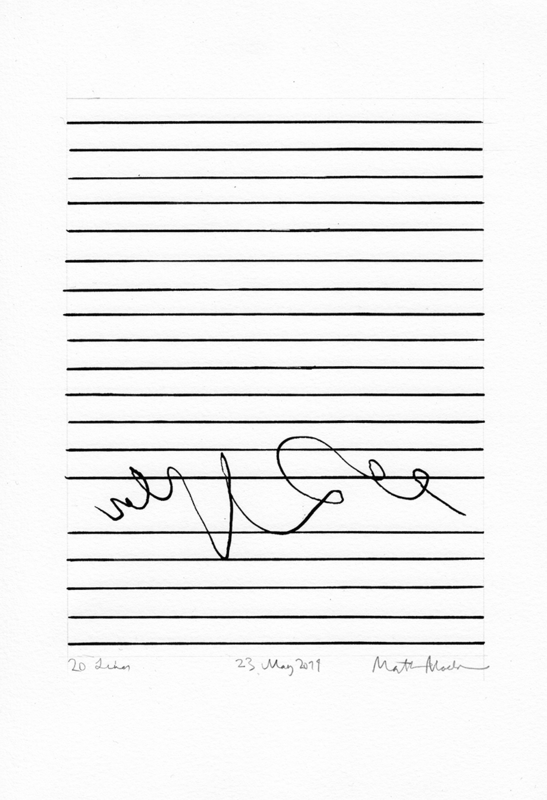 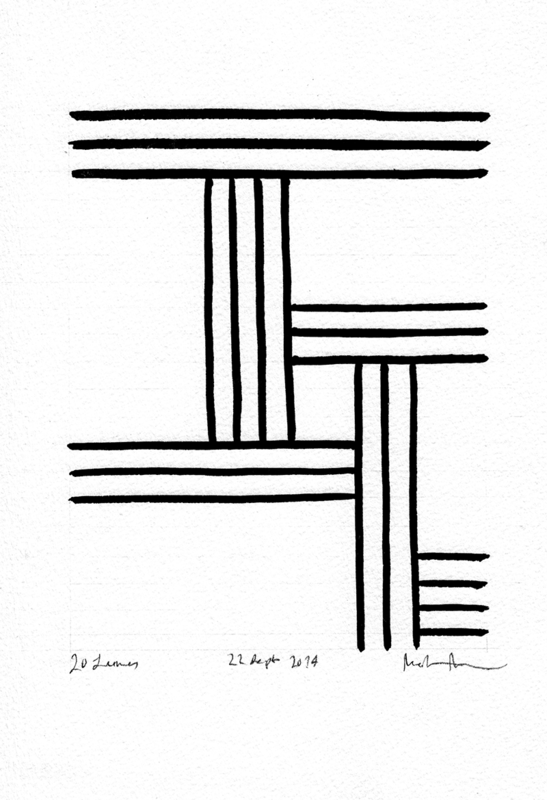 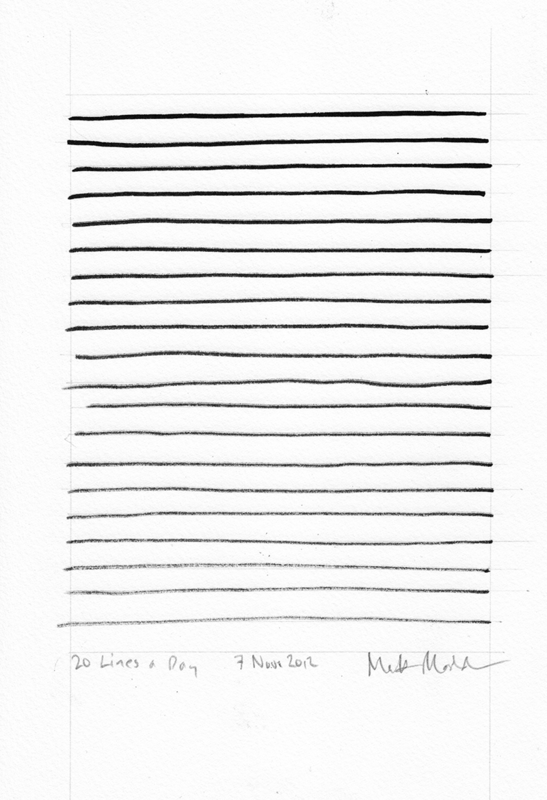 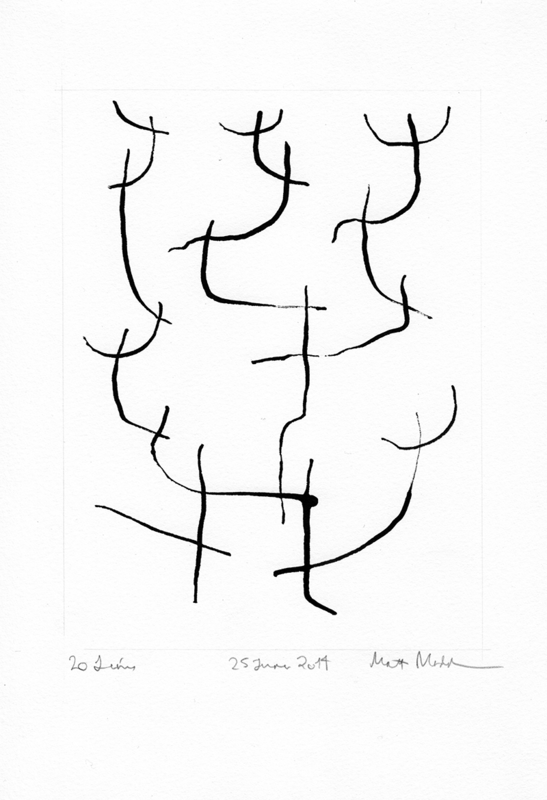 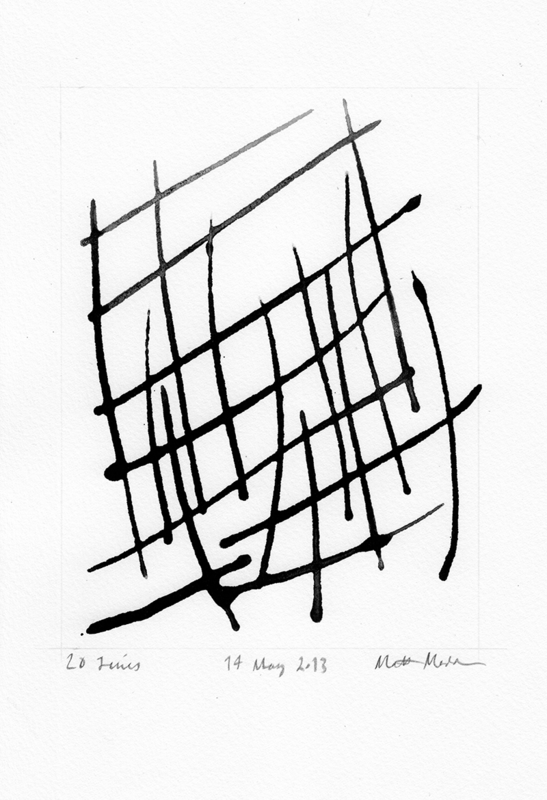 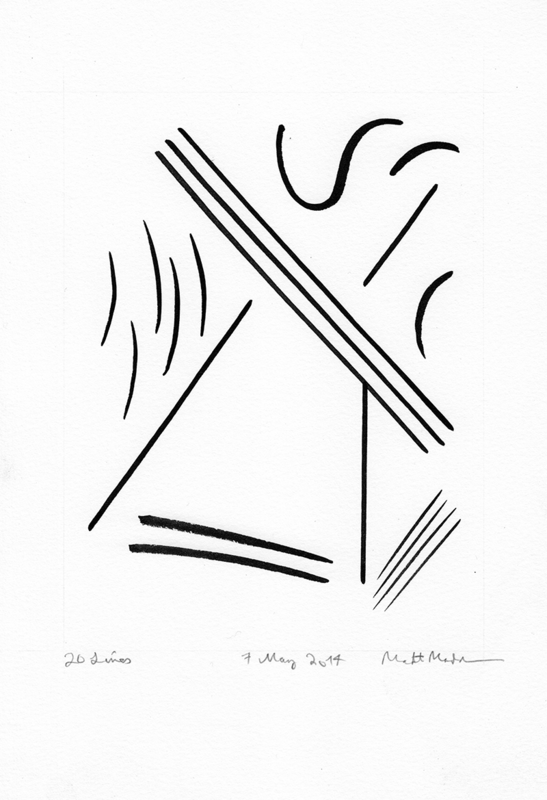 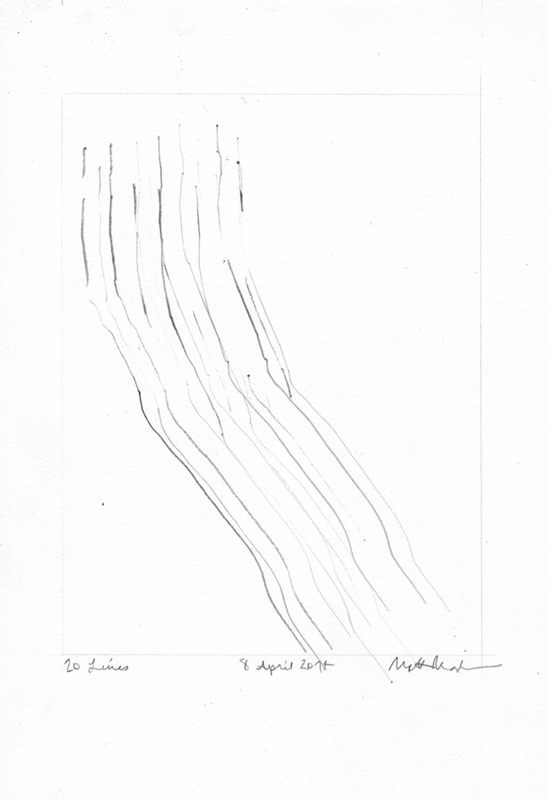 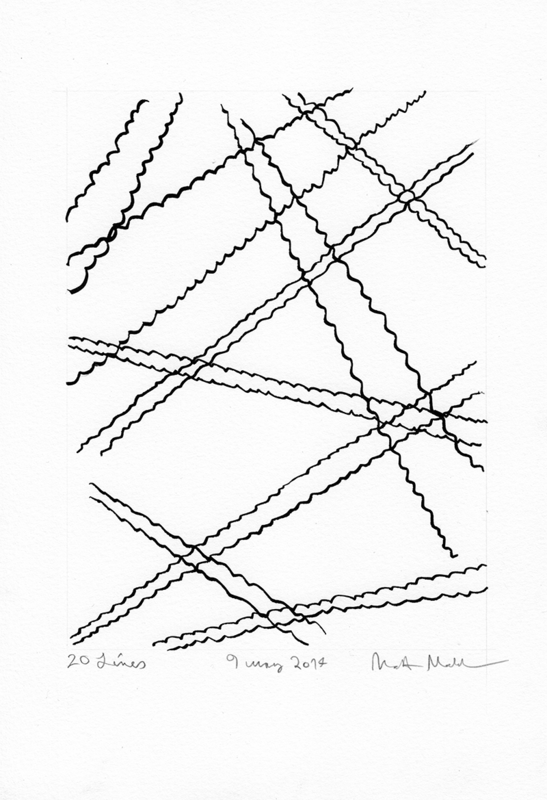 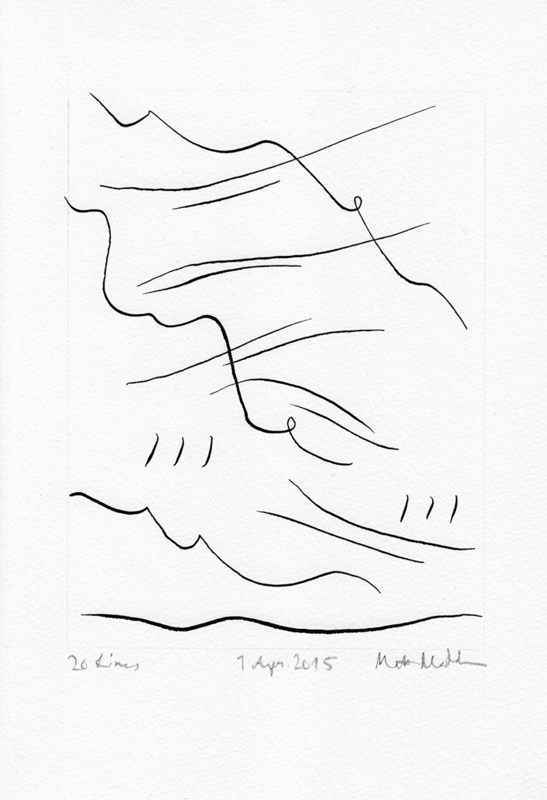 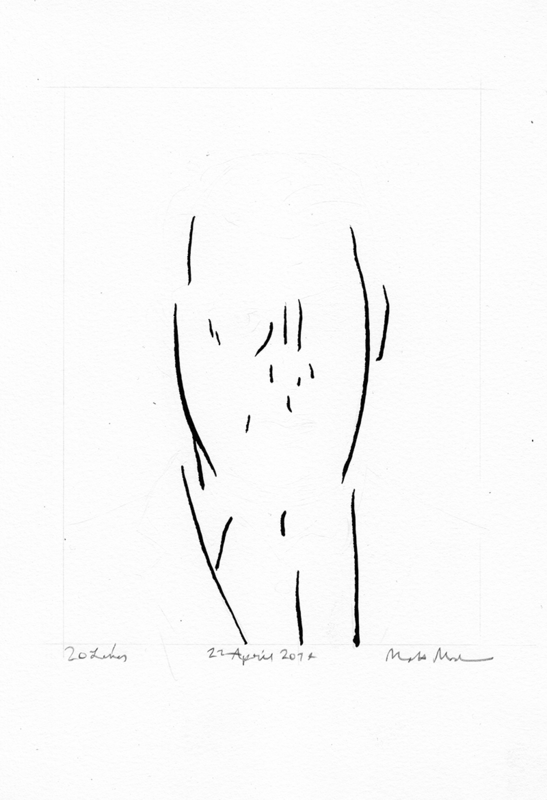 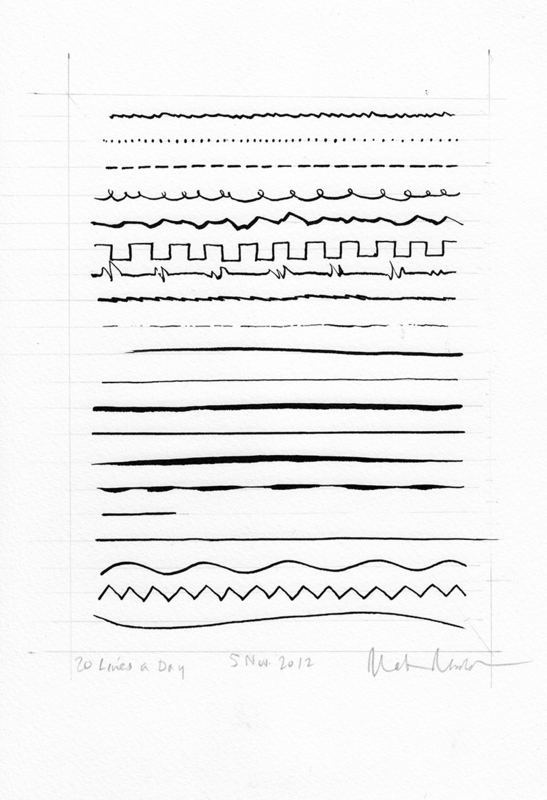 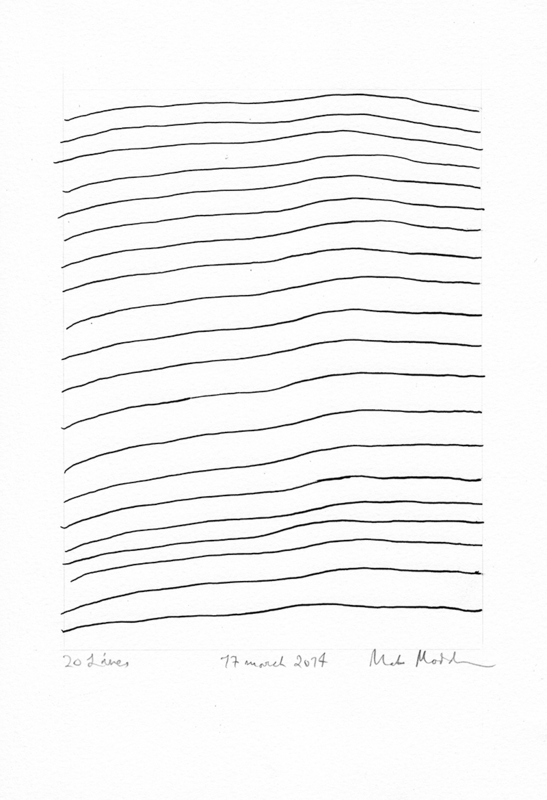 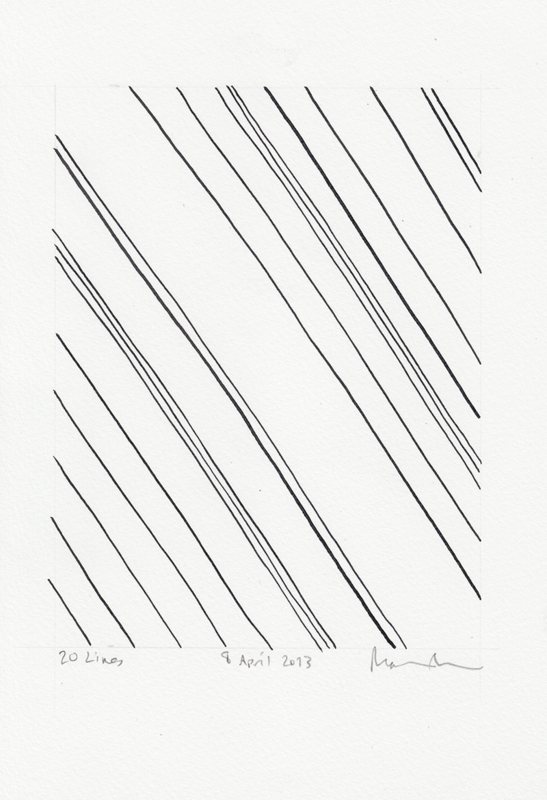 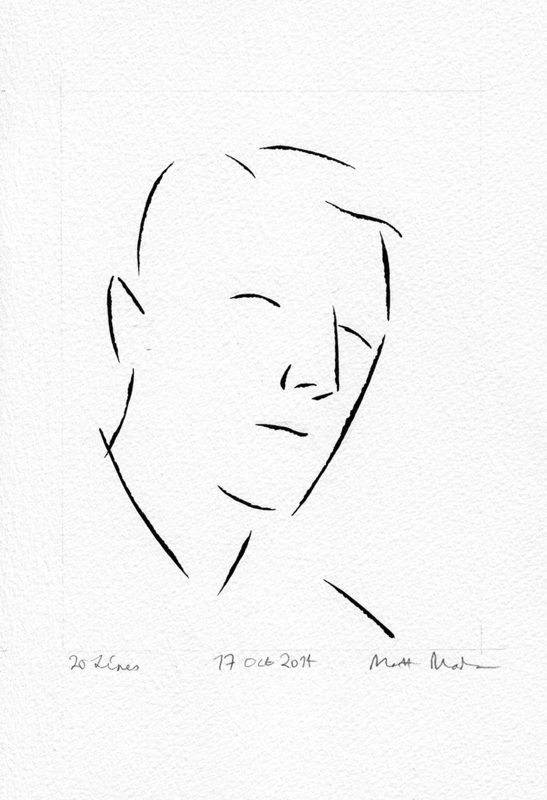 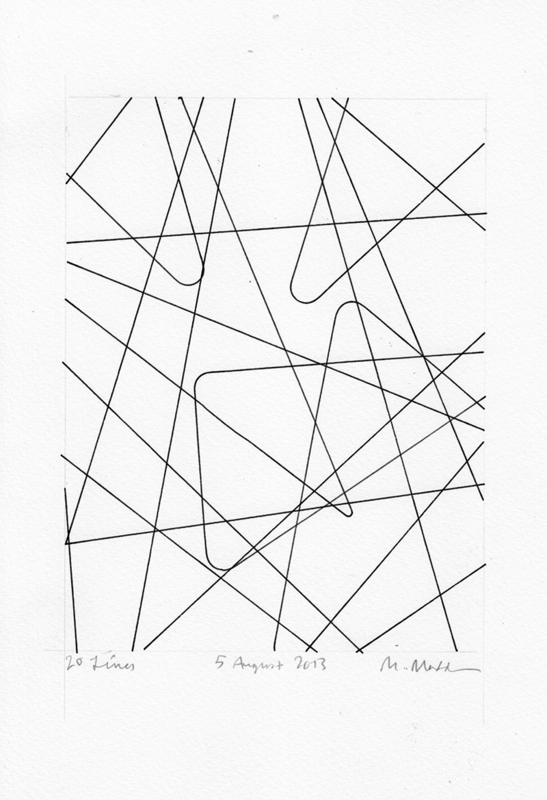 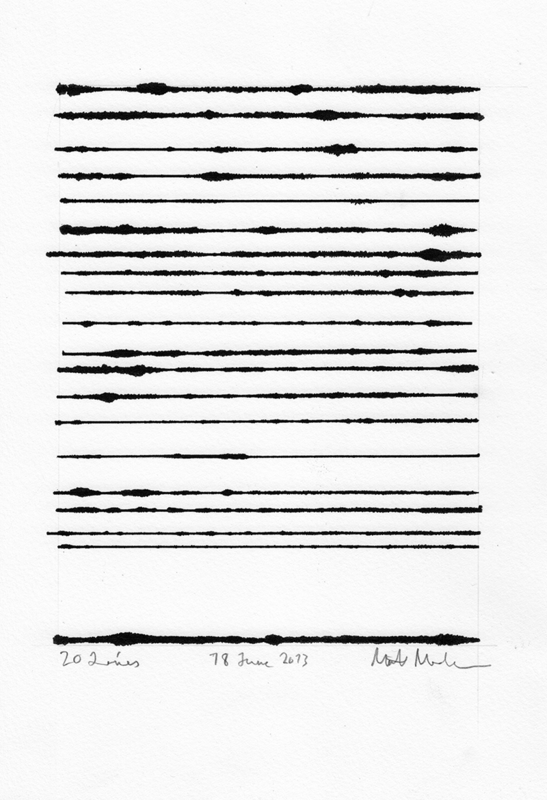 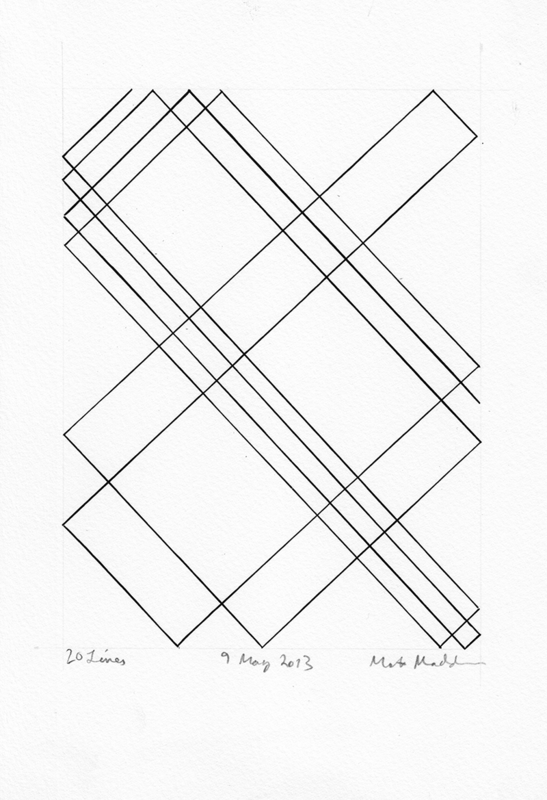 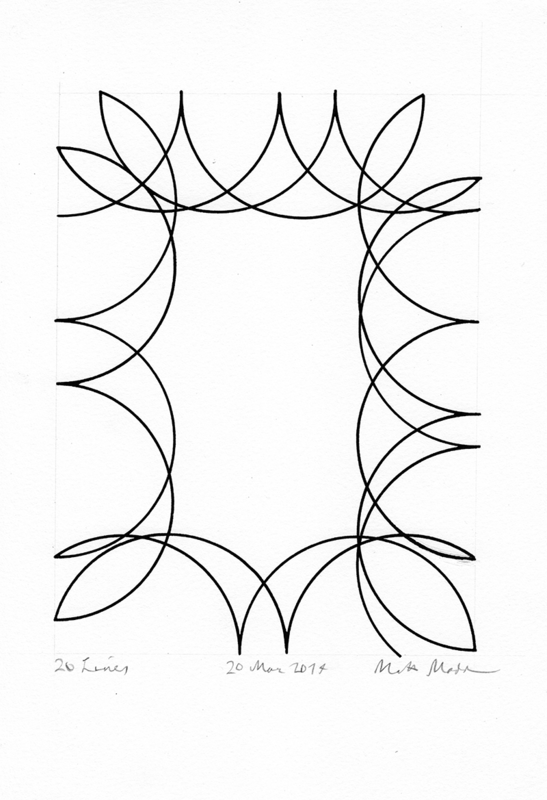 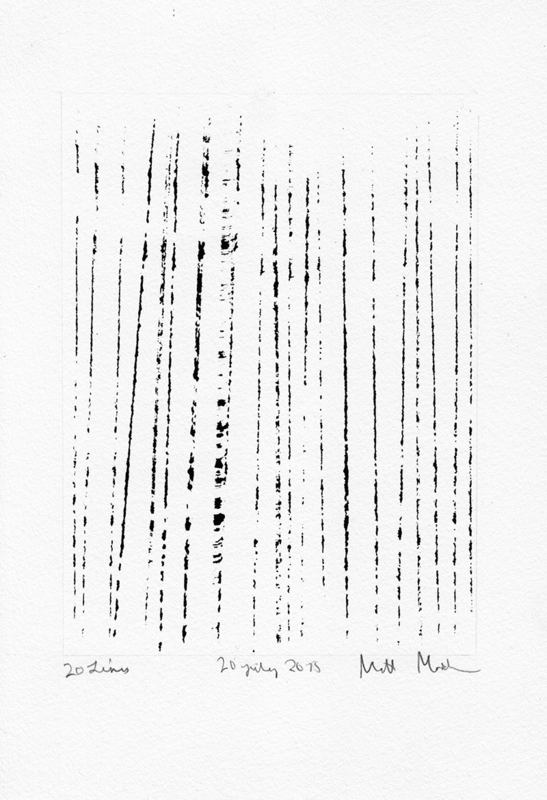 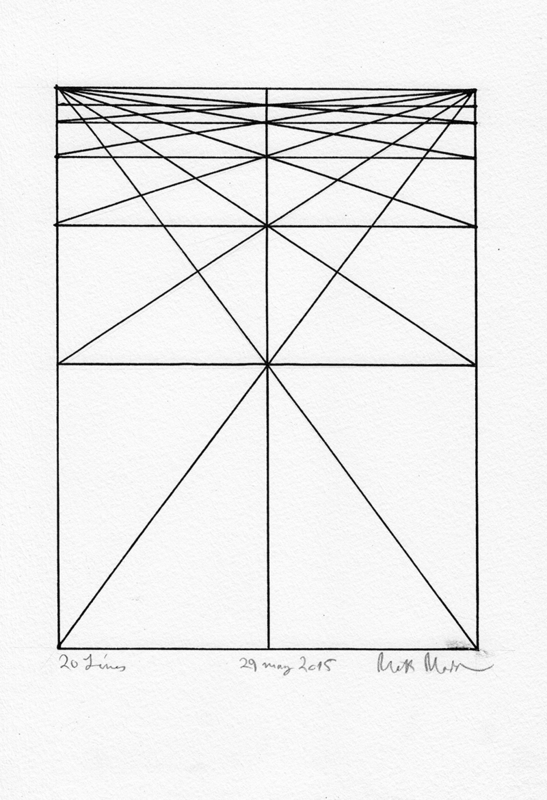 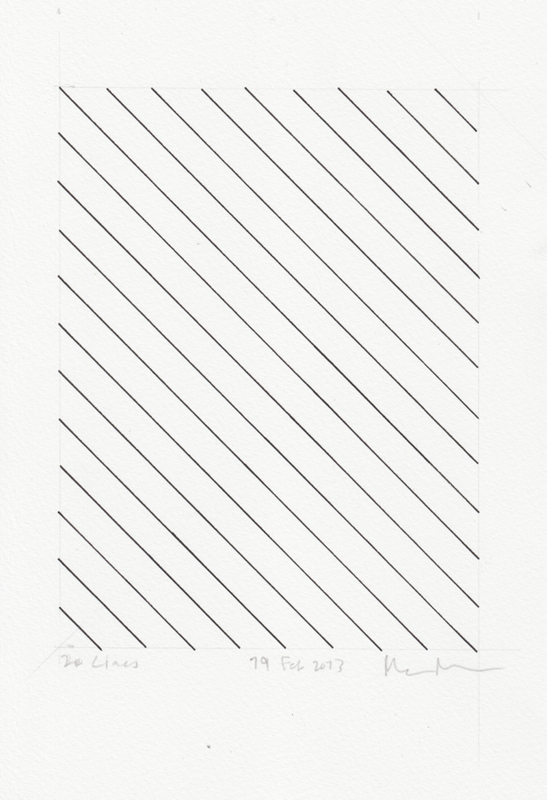 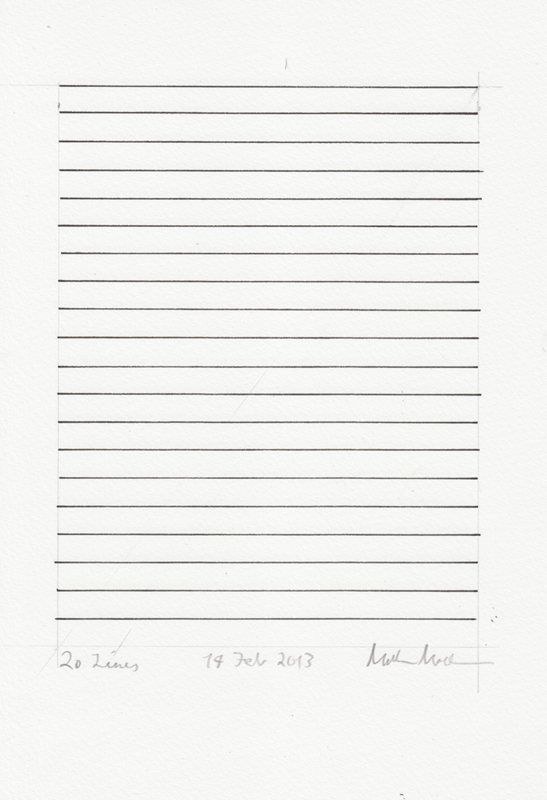 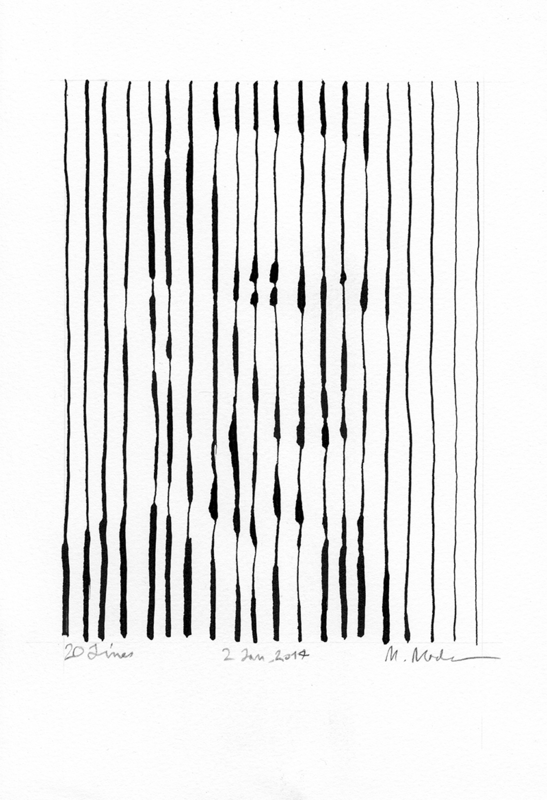 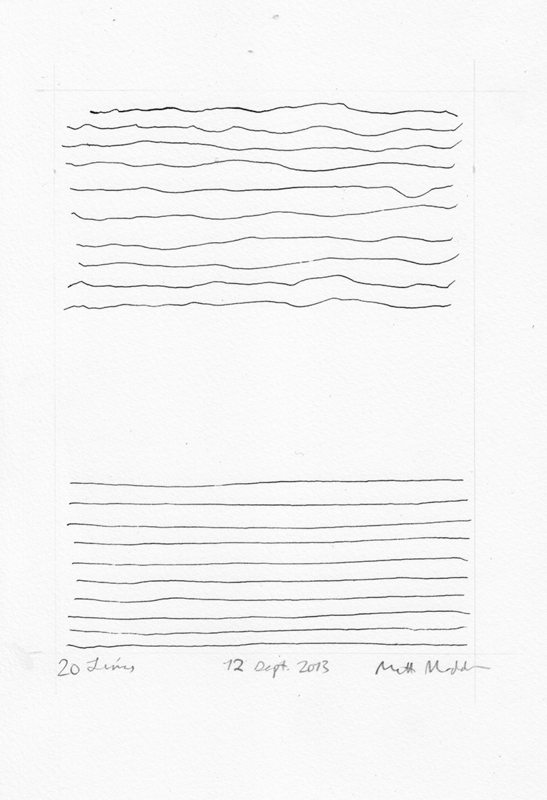 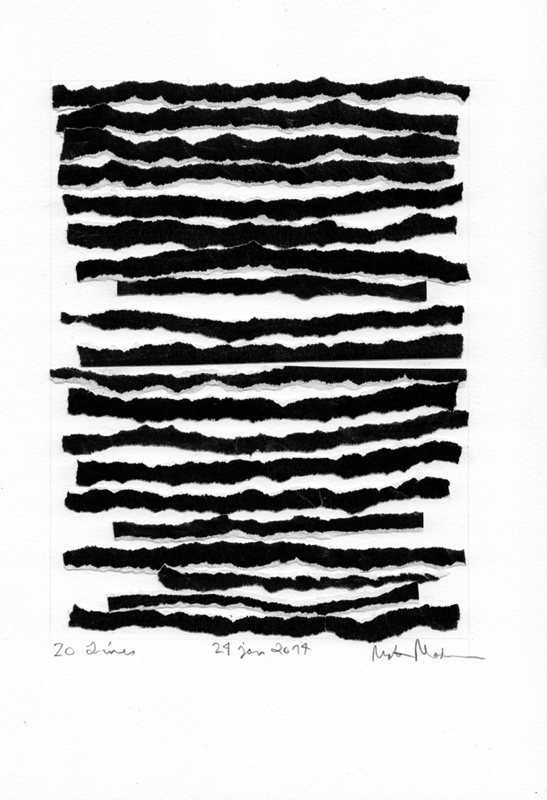 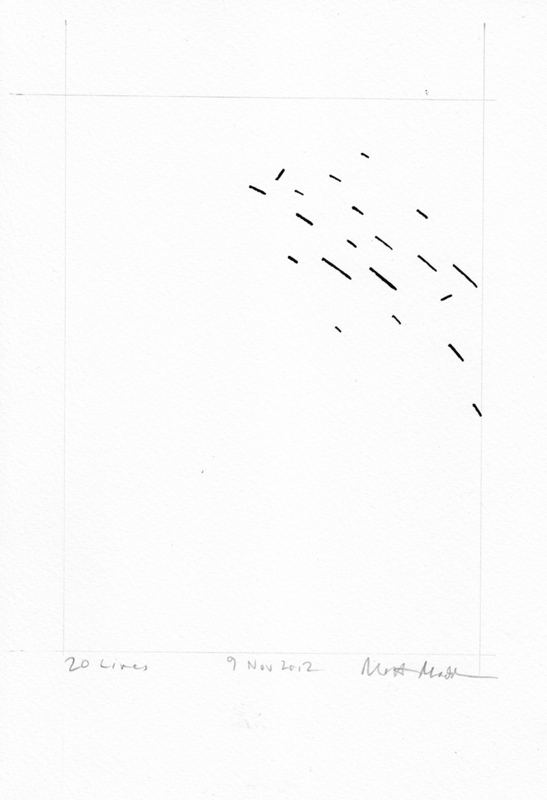 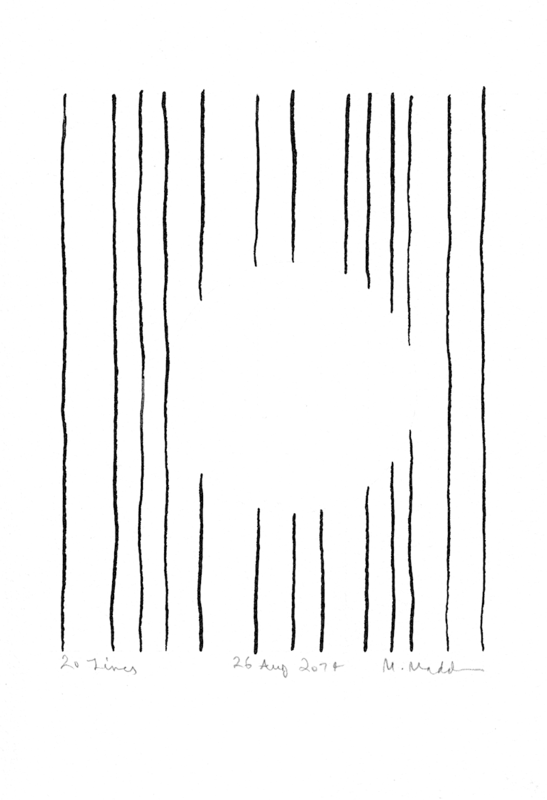 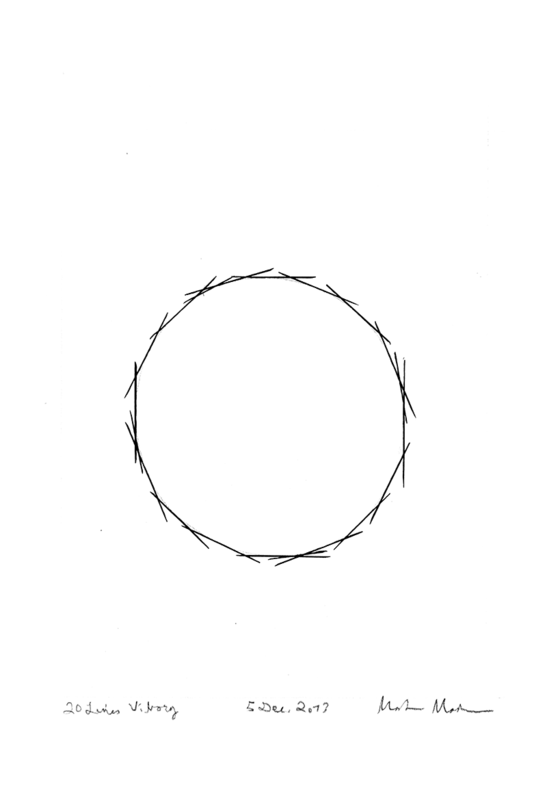 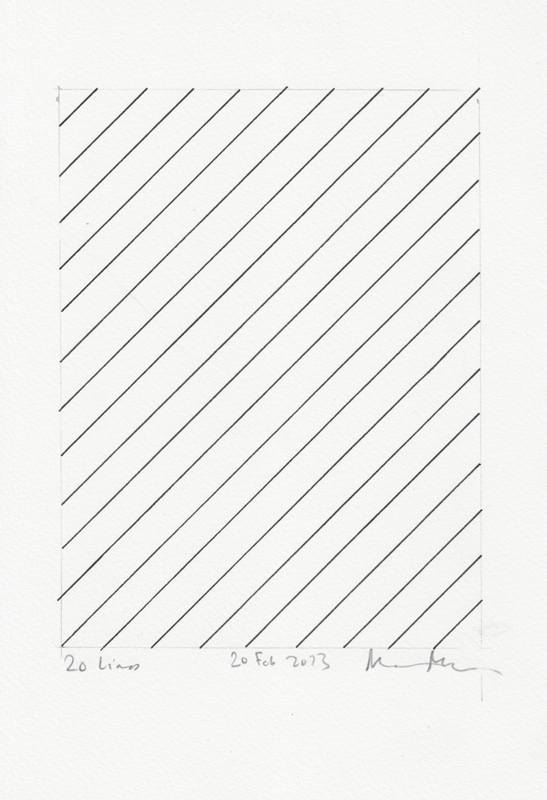 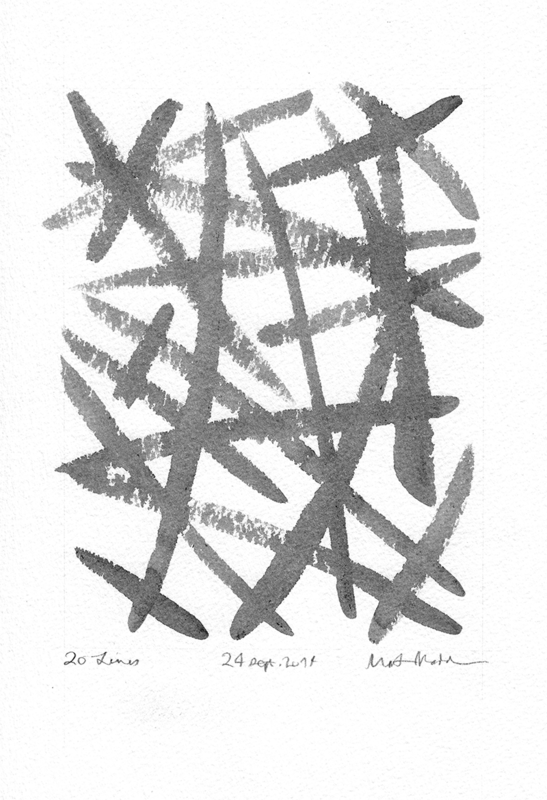 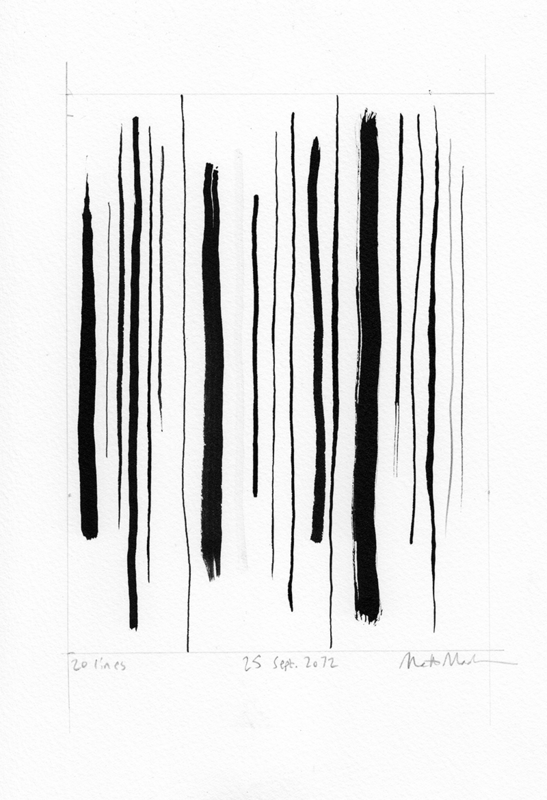 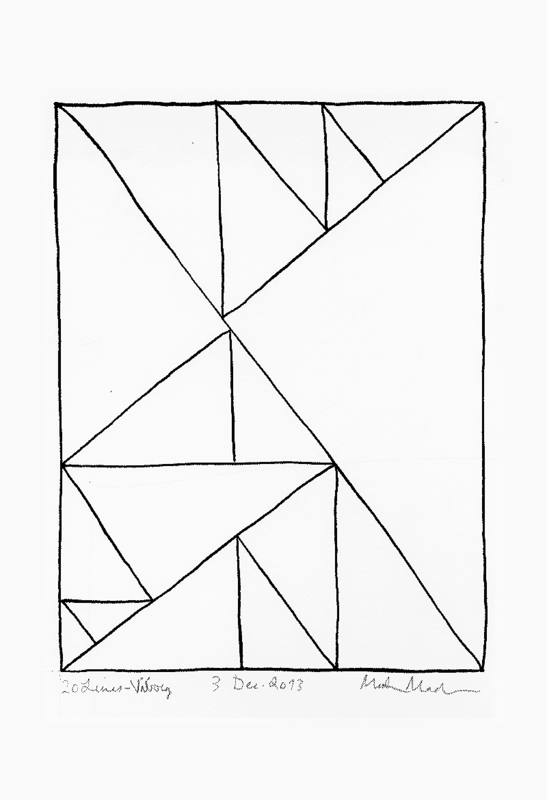 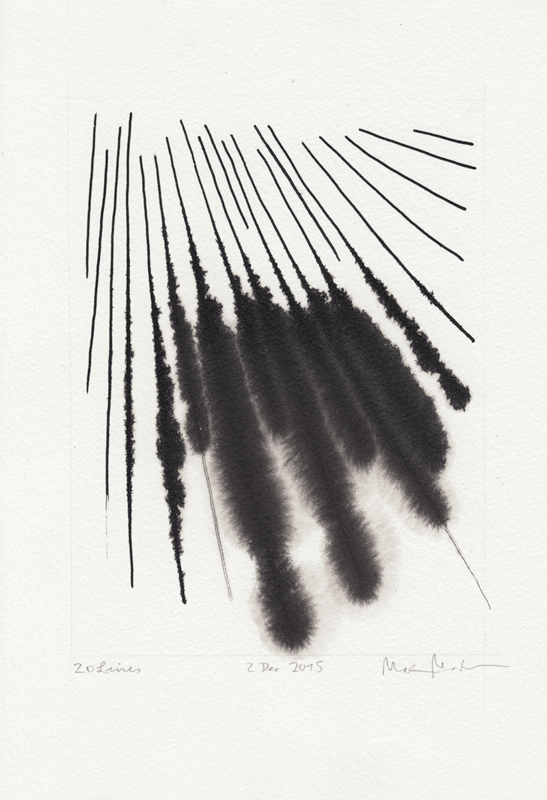 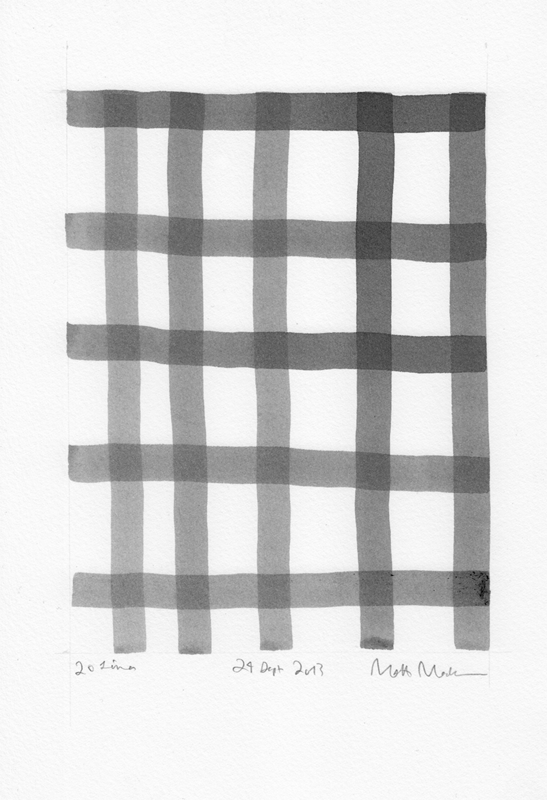 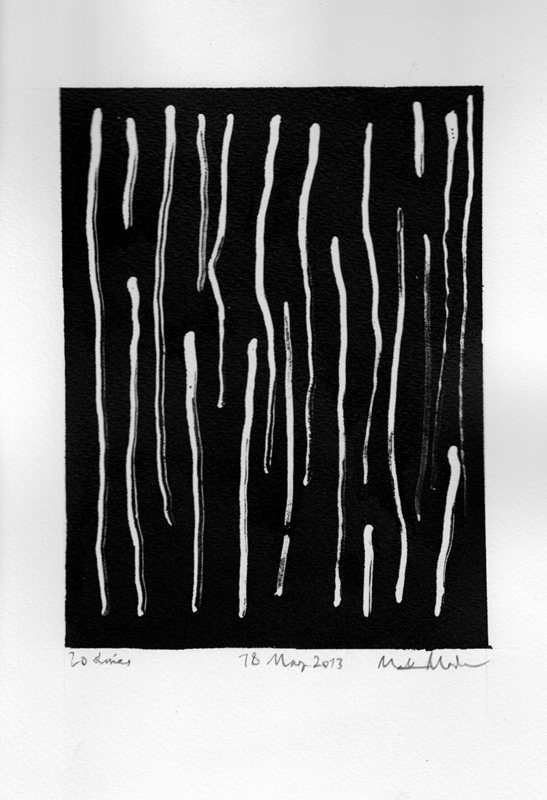 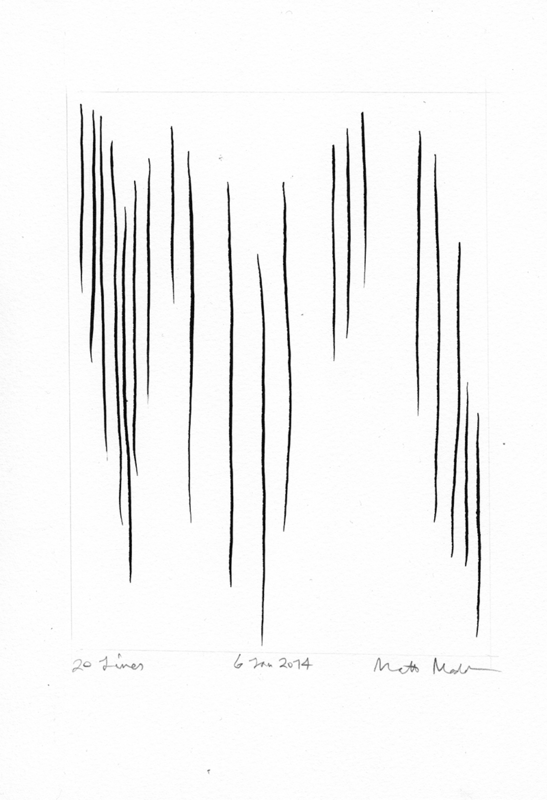 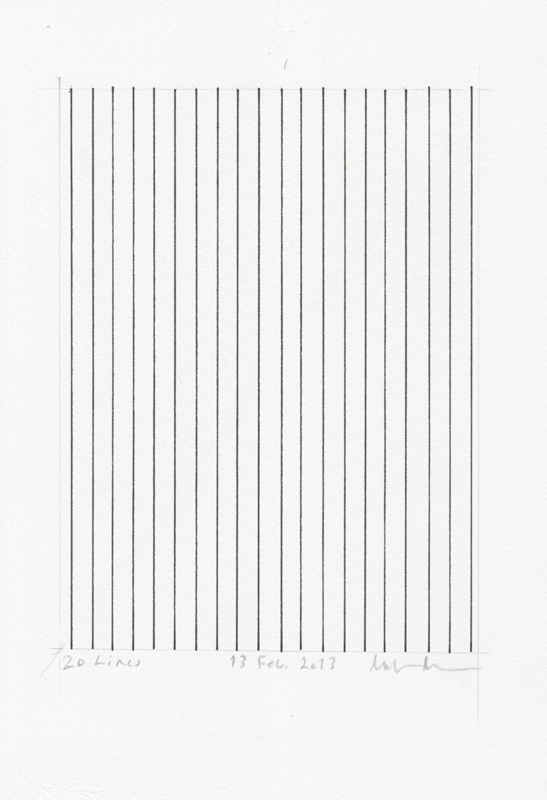 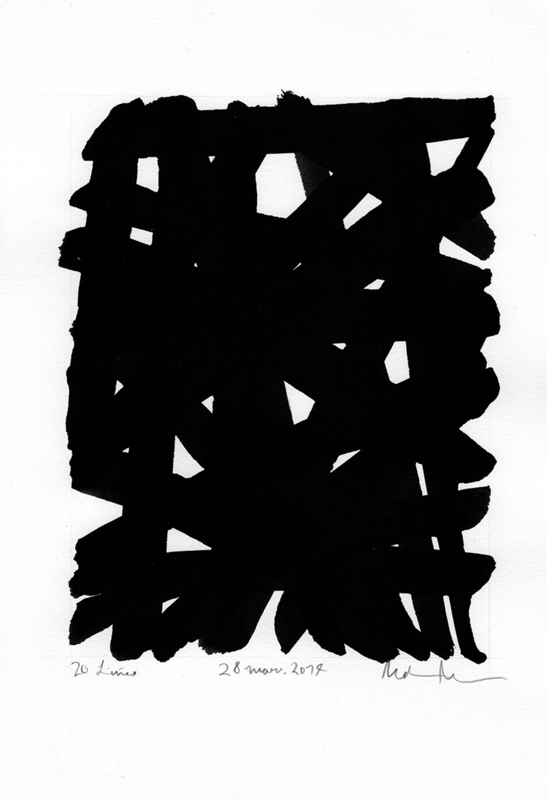 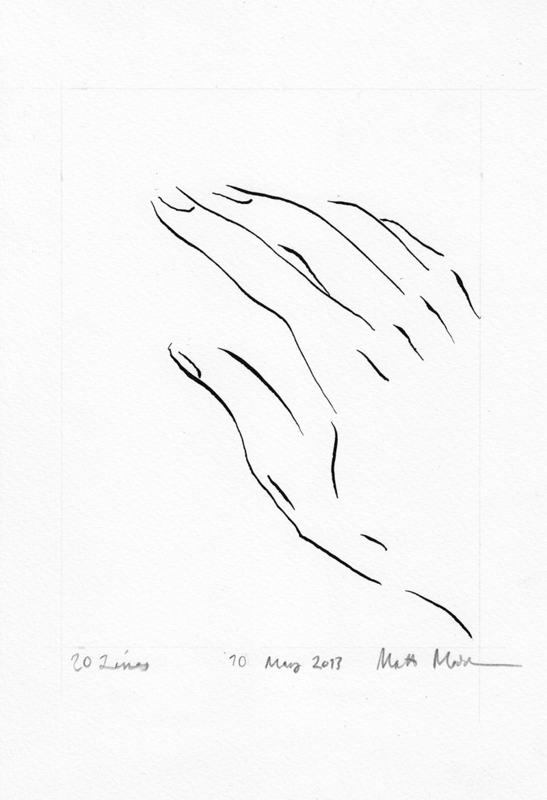 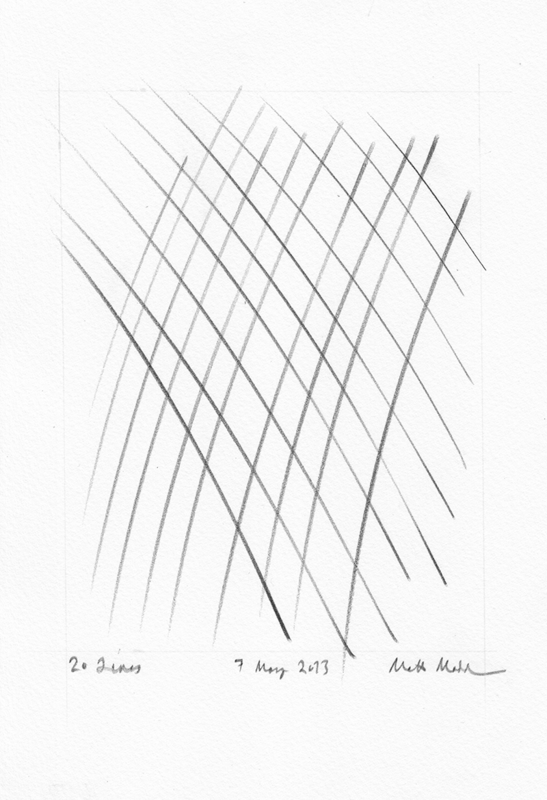 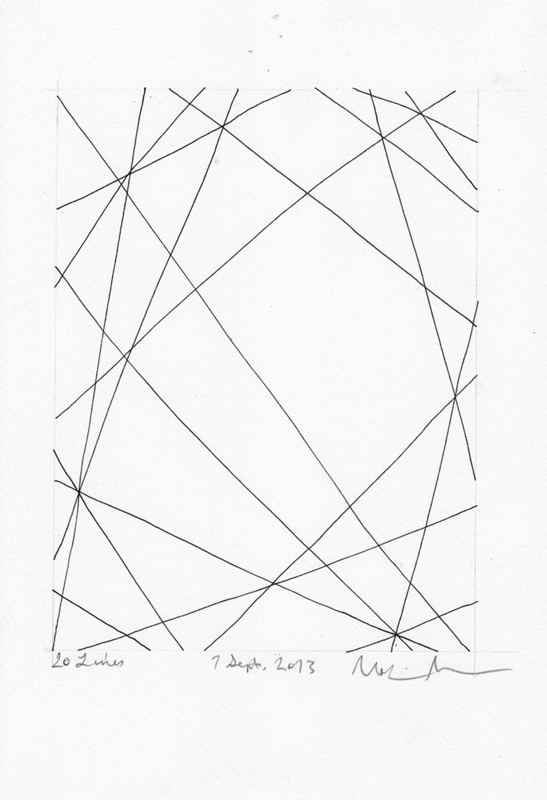 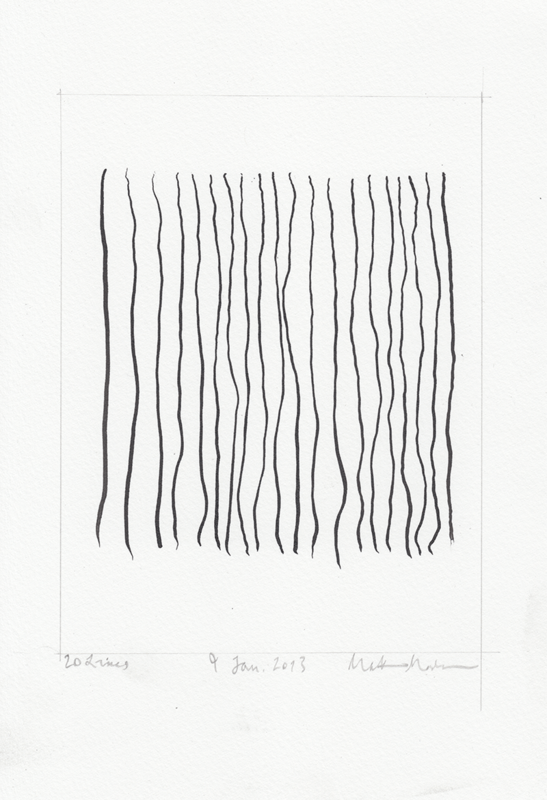 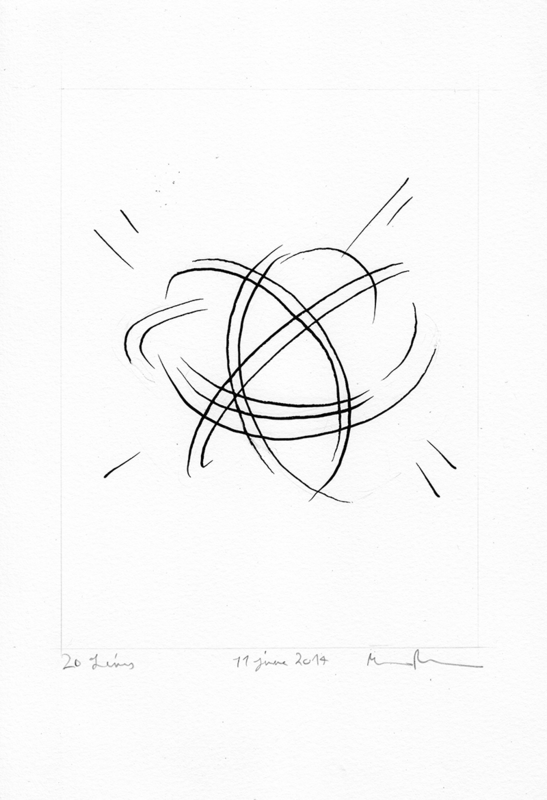 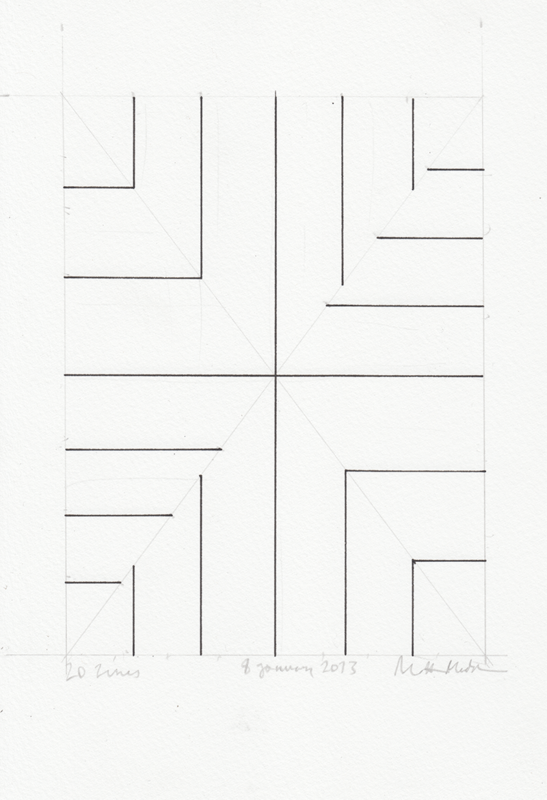 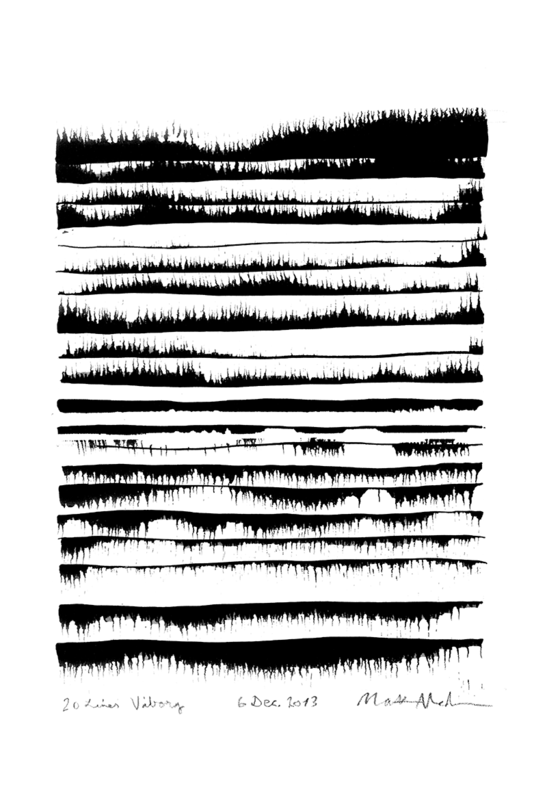 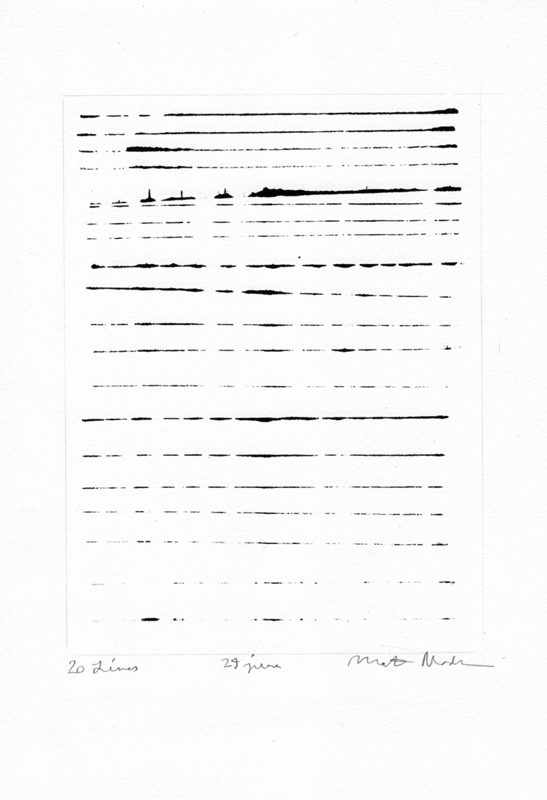 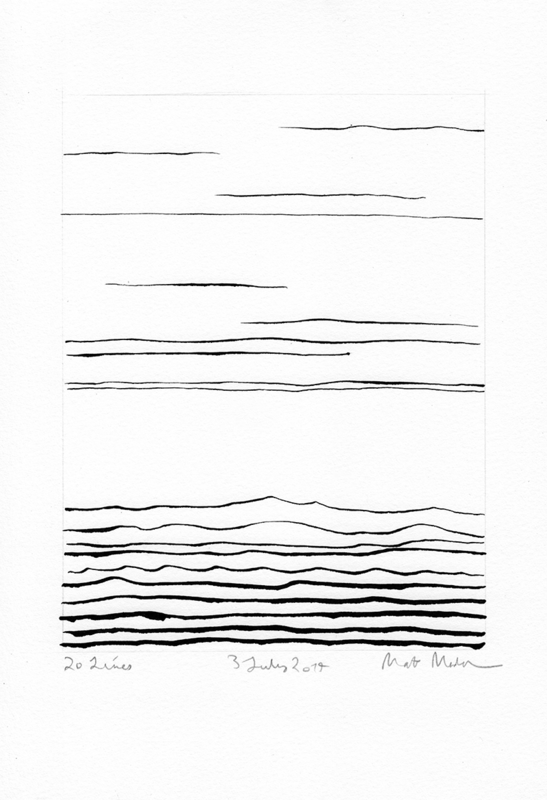 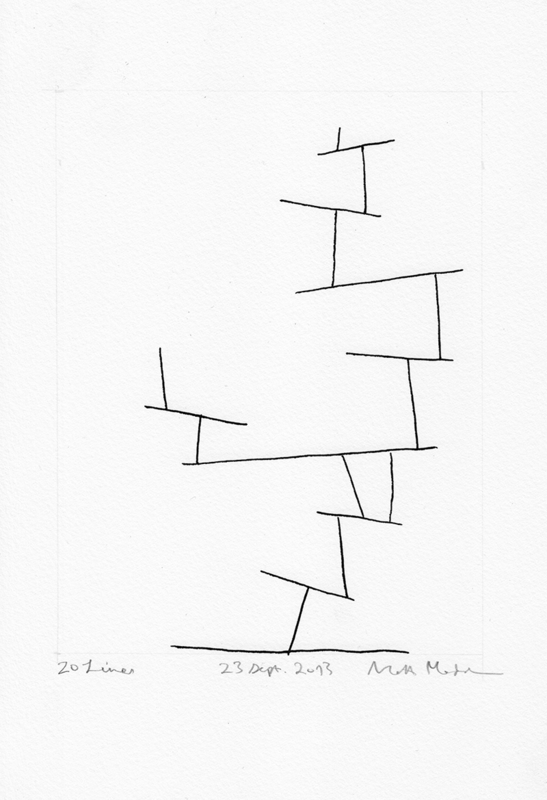 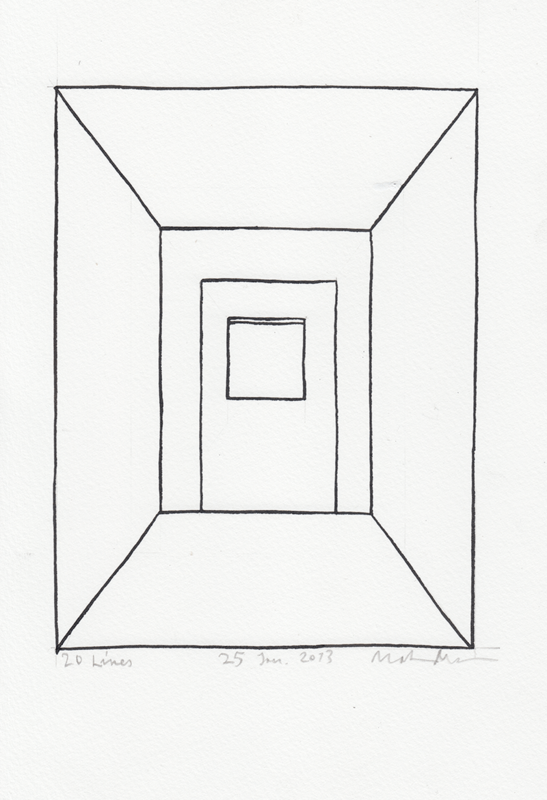 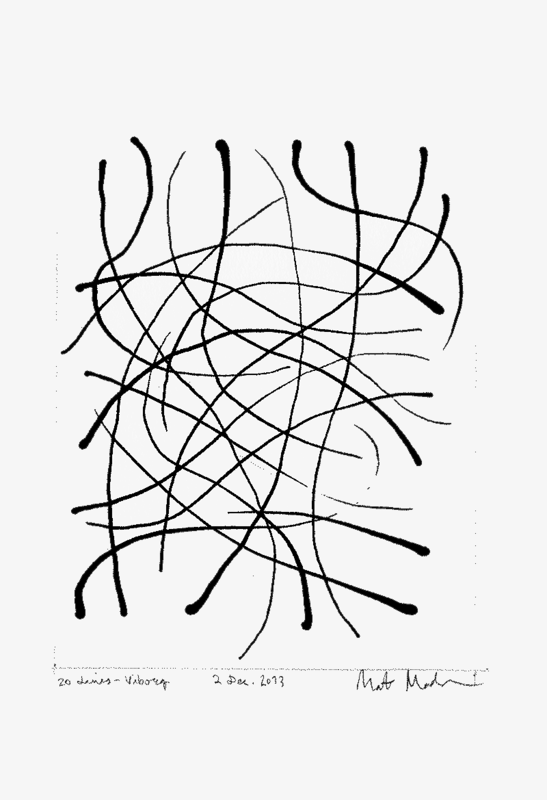 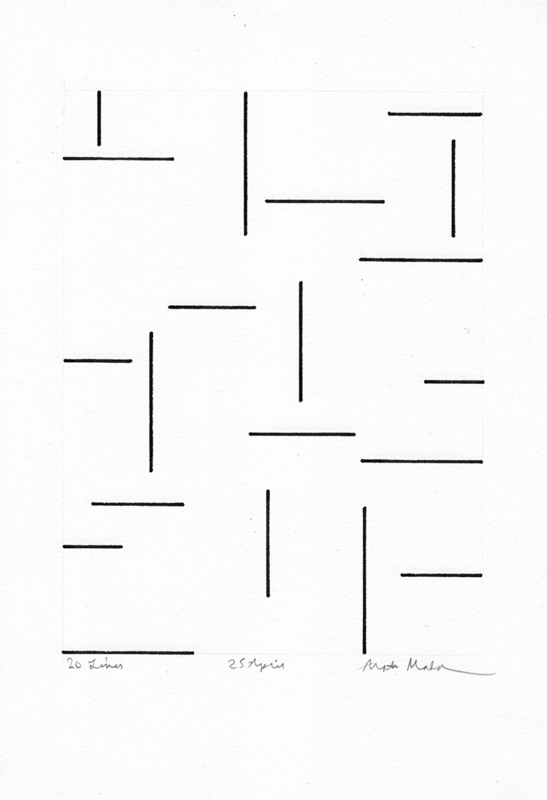 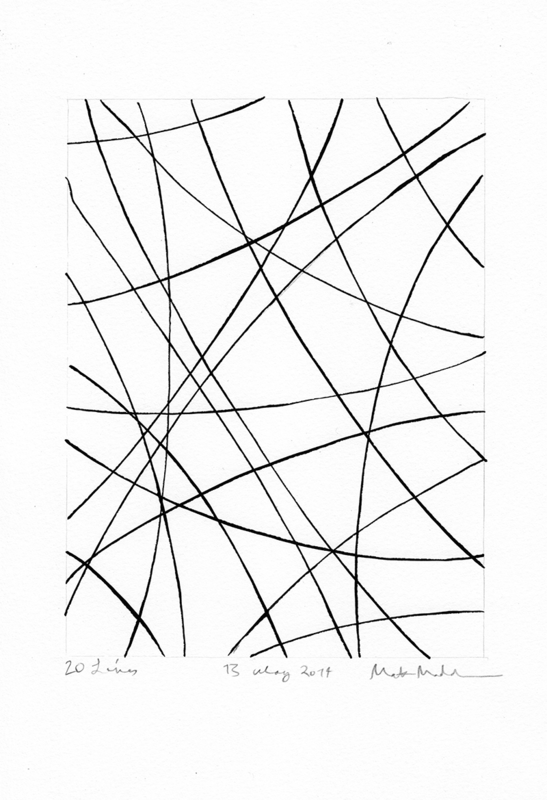 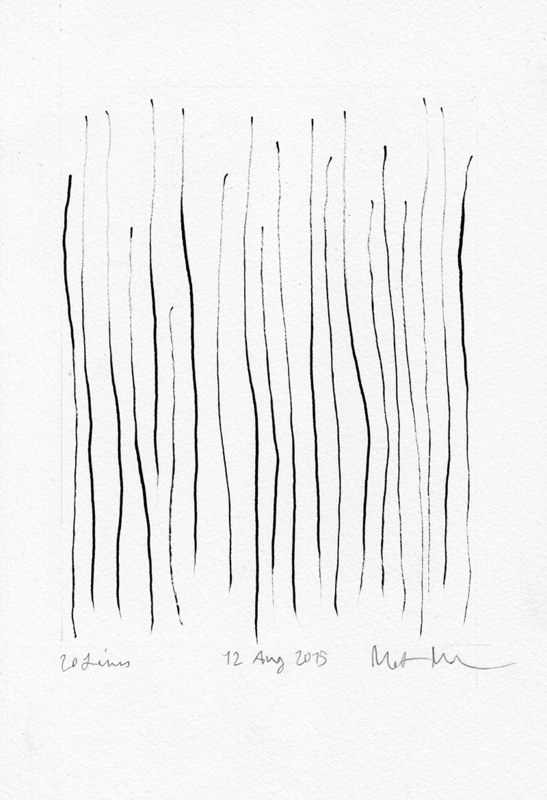 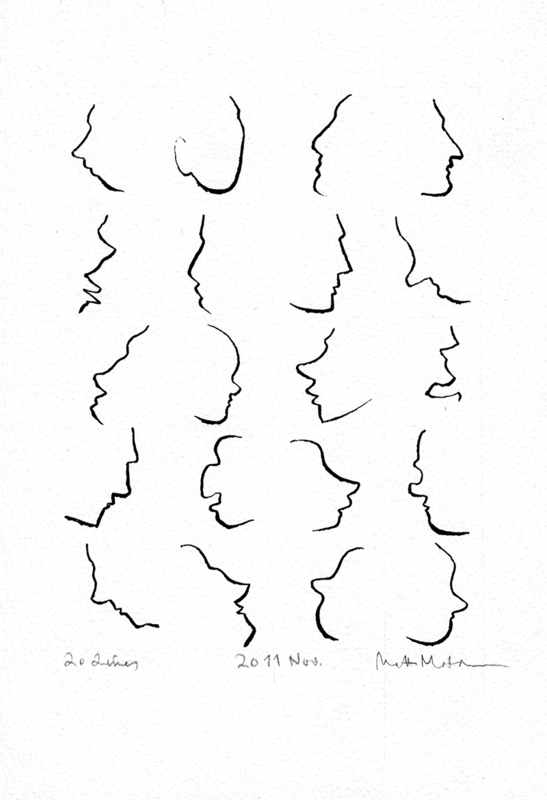 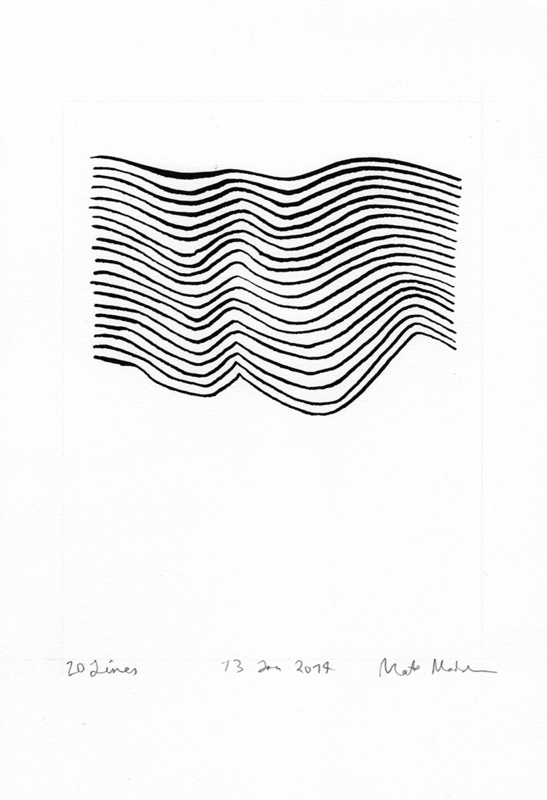 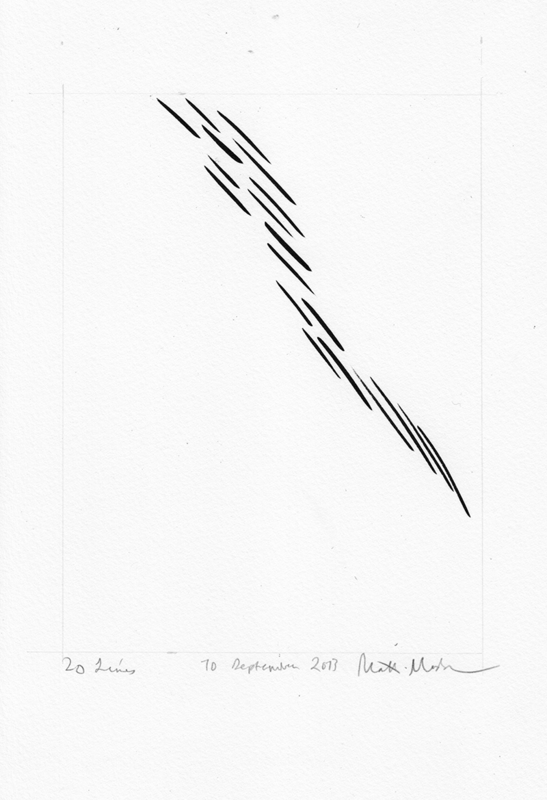 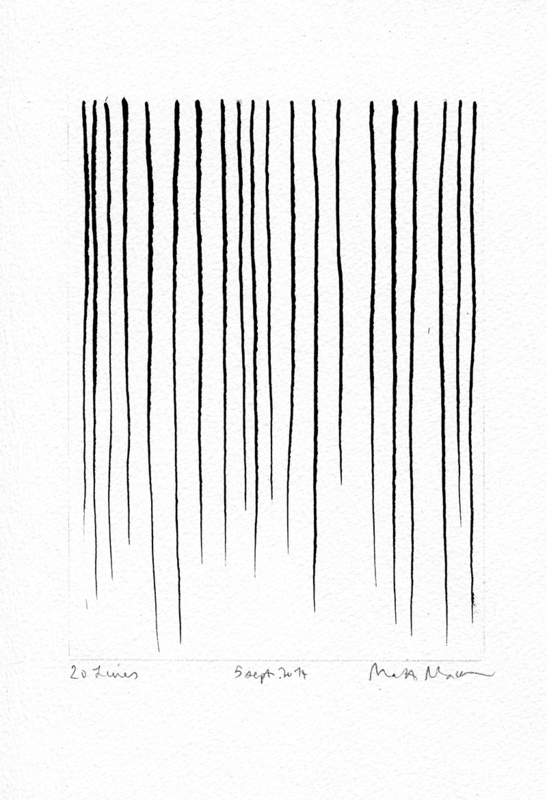 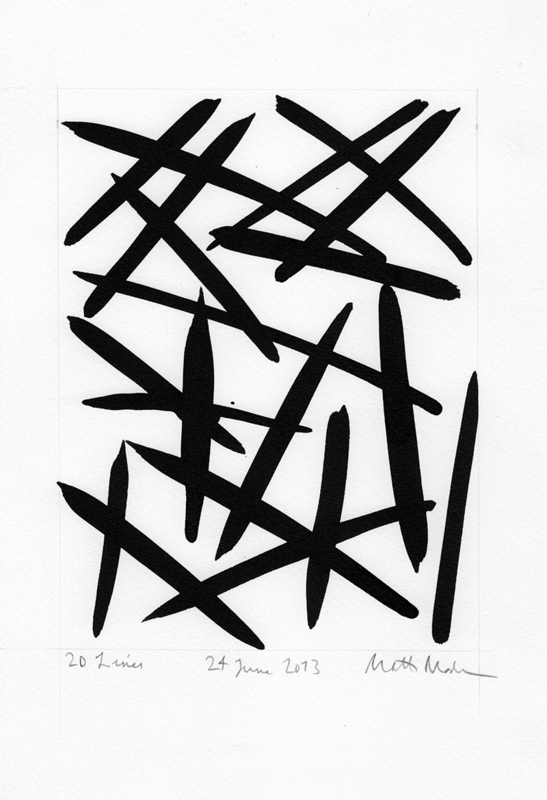 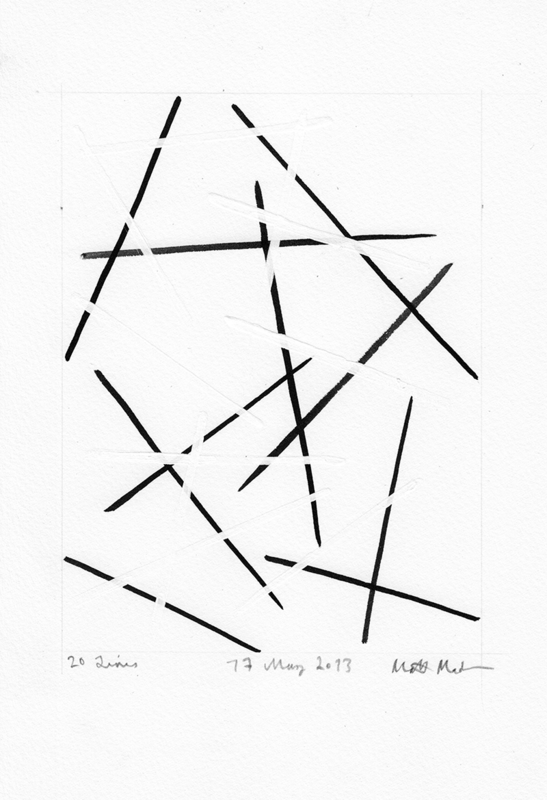 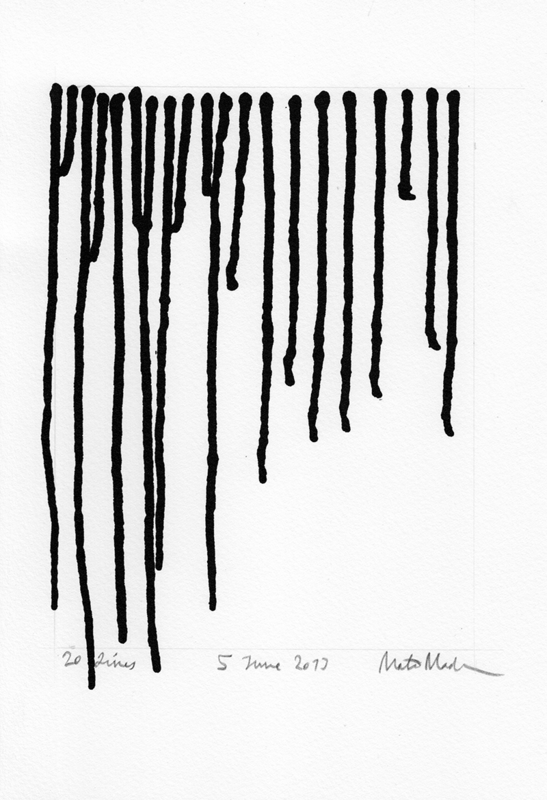 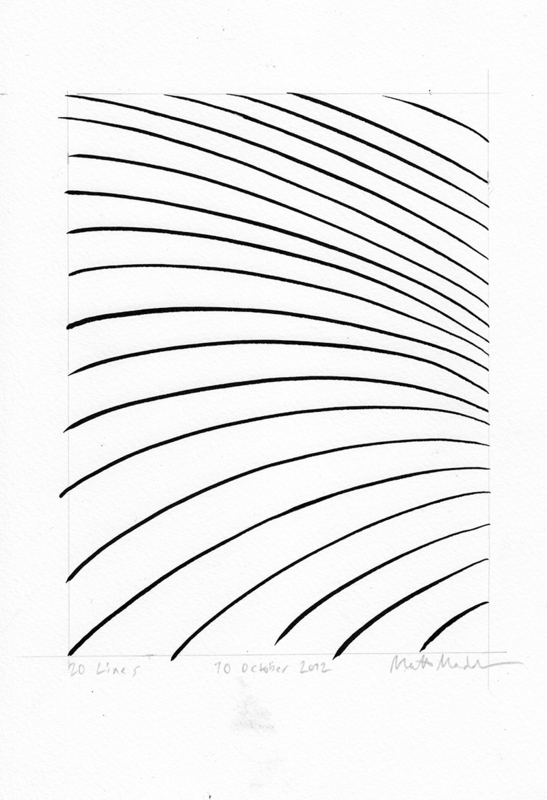 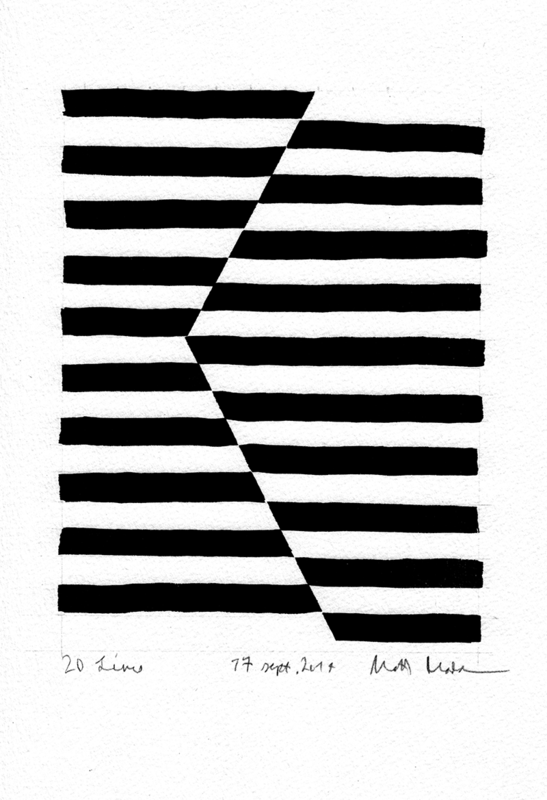 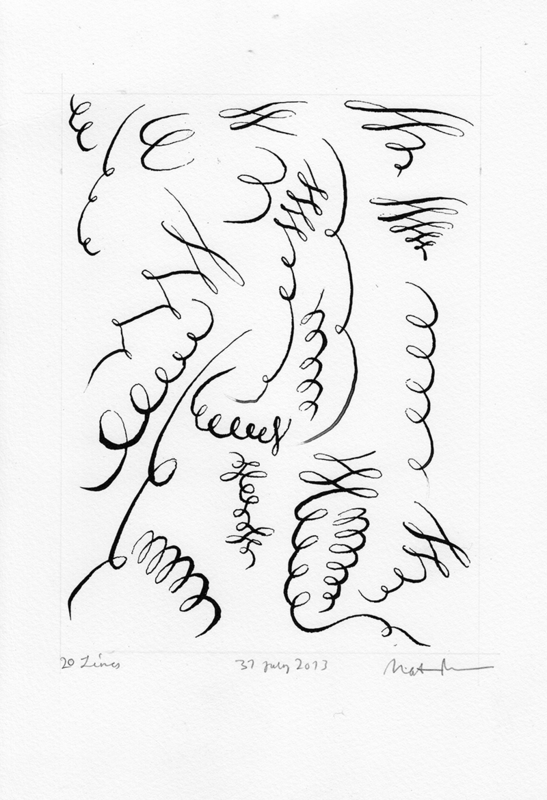 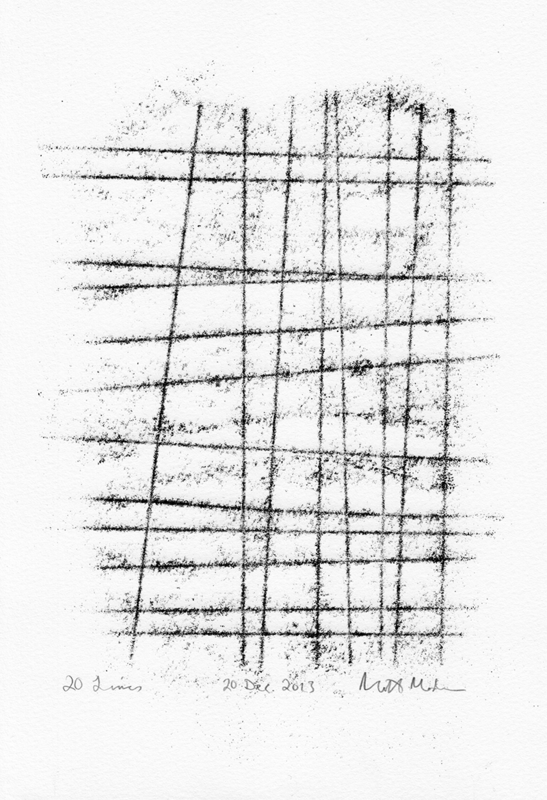 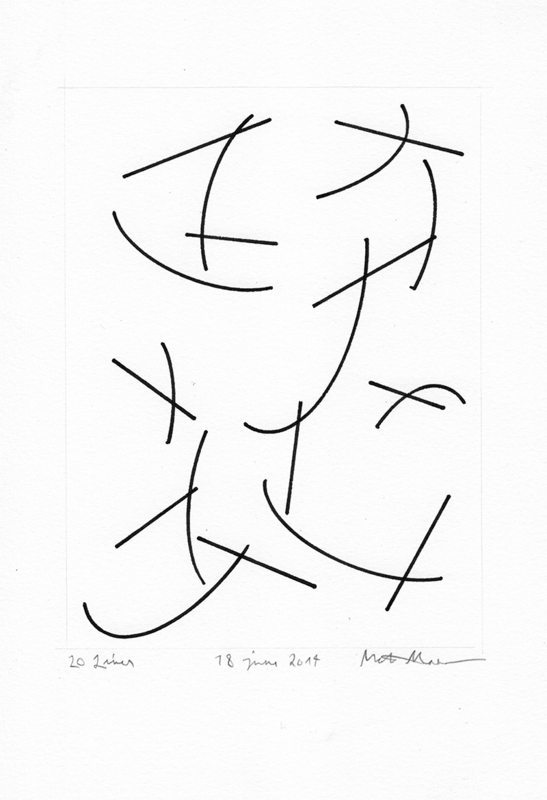 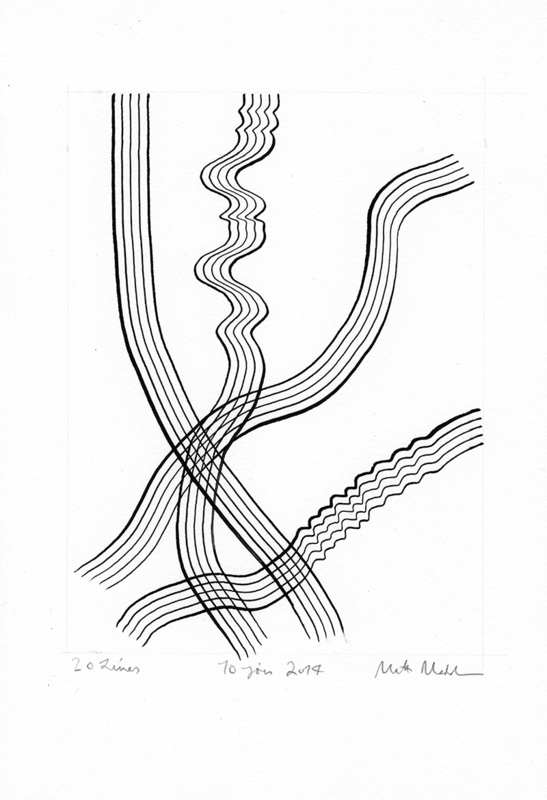 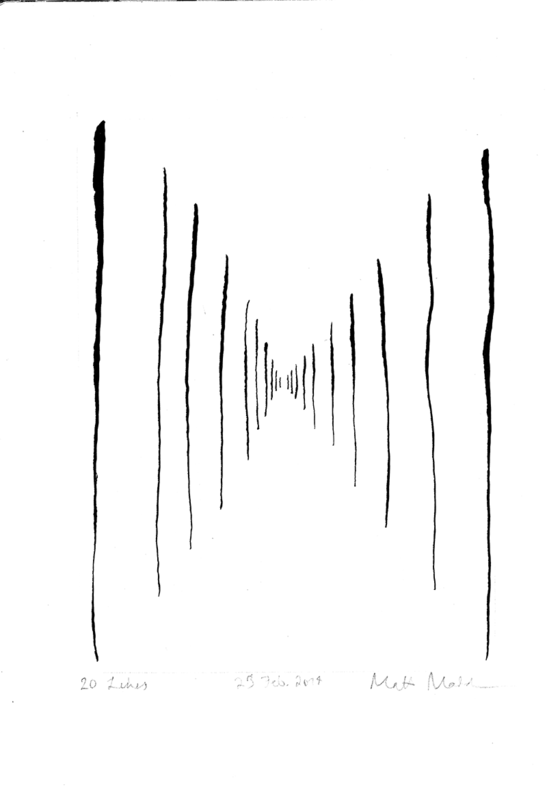 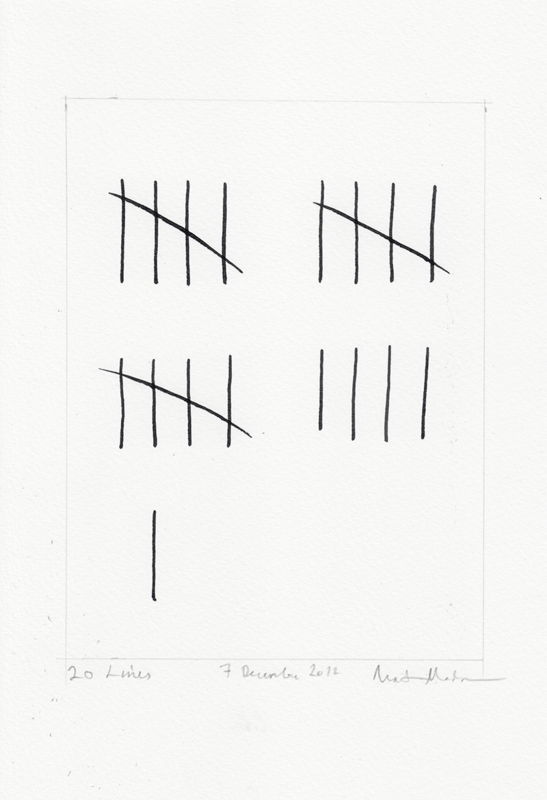 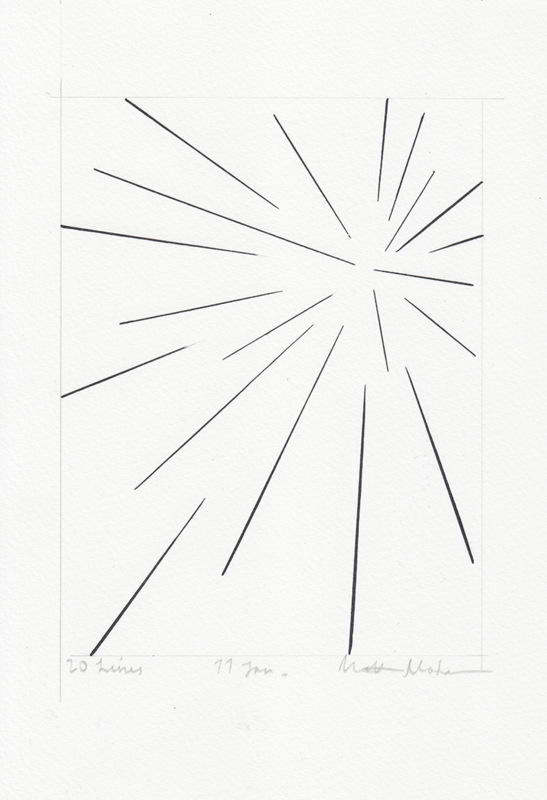 “20 Lines” is a drawing project of mine which began as an exercise in warm-up drawing but quickly grew to be a popular ongoing series which I have posted on Tumblr and Facebook over the last few years. 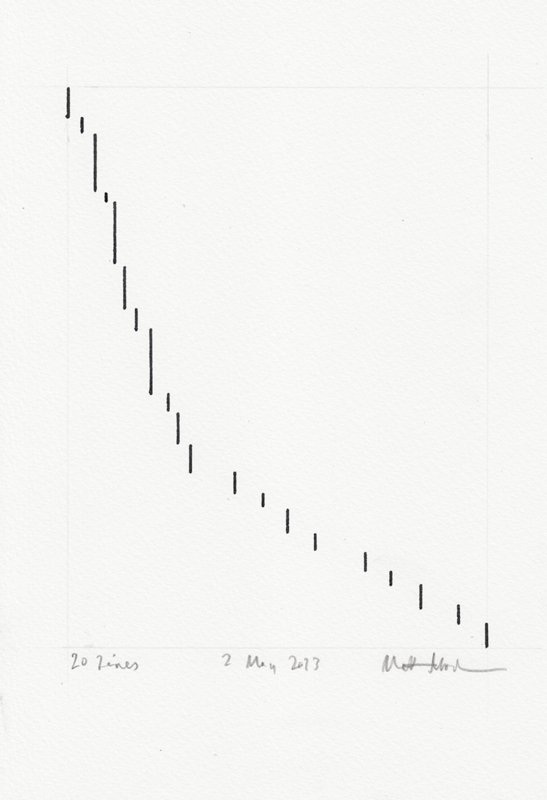 In this blog post I talked about the origins of the project. 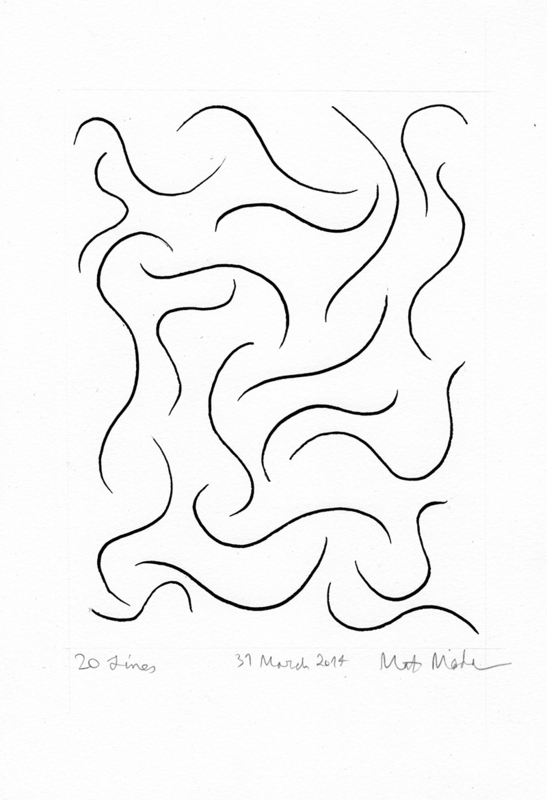 In 2015 I exhibited 70 or so of them in Spain at the contemporary drawing gallery etHall during Barcelona Gallery Weekend. 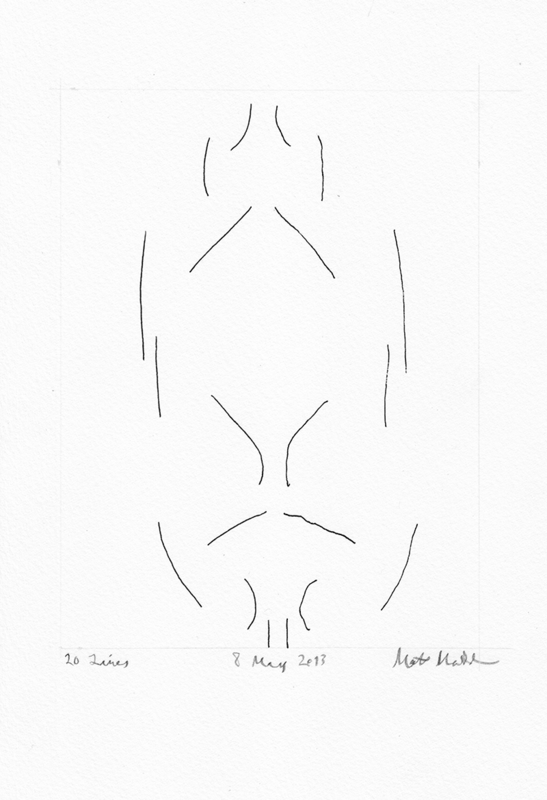 Click on any thumbnail below to view a particular drawing. 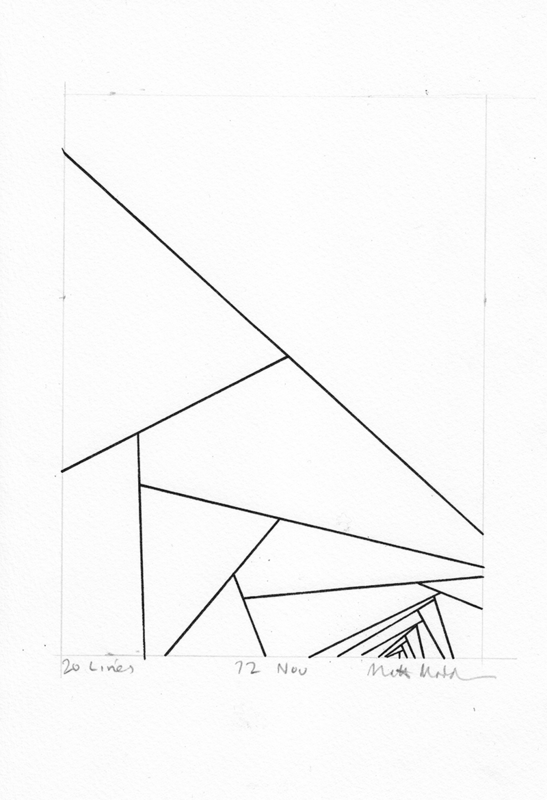 You can click forwards or backwards using the arrows you’ll see on the pop-up lightbox. 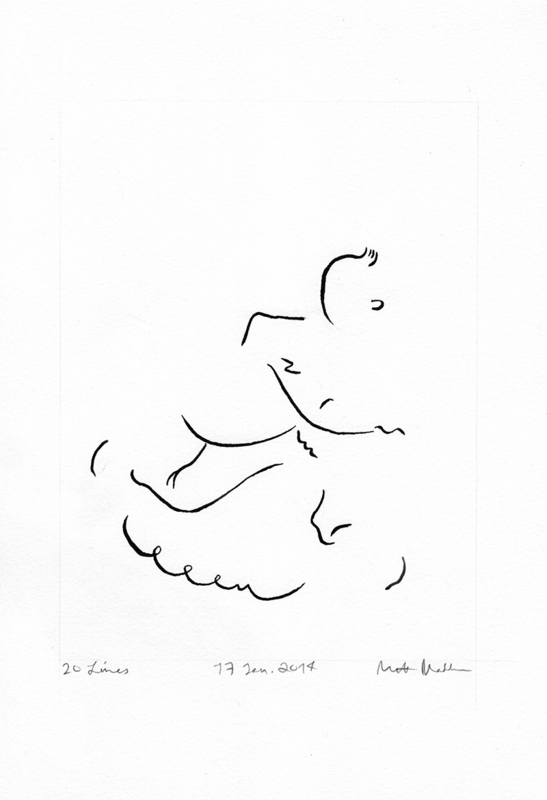 Contact me privately if you’re interested in purchasing a set of drawings. 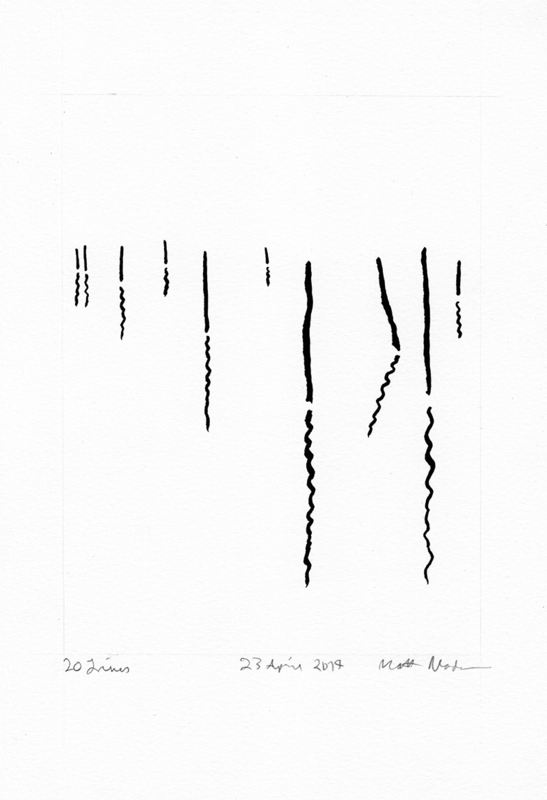 (You can identify them by the date viewable on the drawing and in white text just below the image in the lightbox view.) 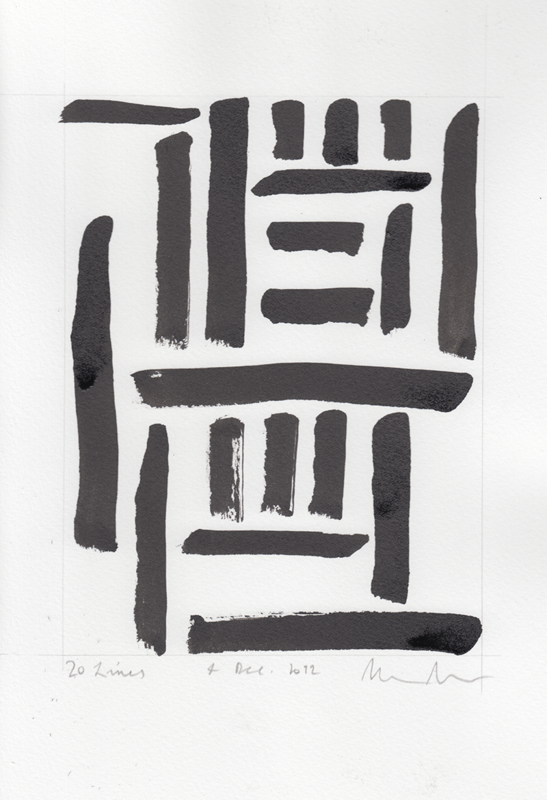 As a rule I prefer to group them in sets of three to eight drawings though there are always exceptions. 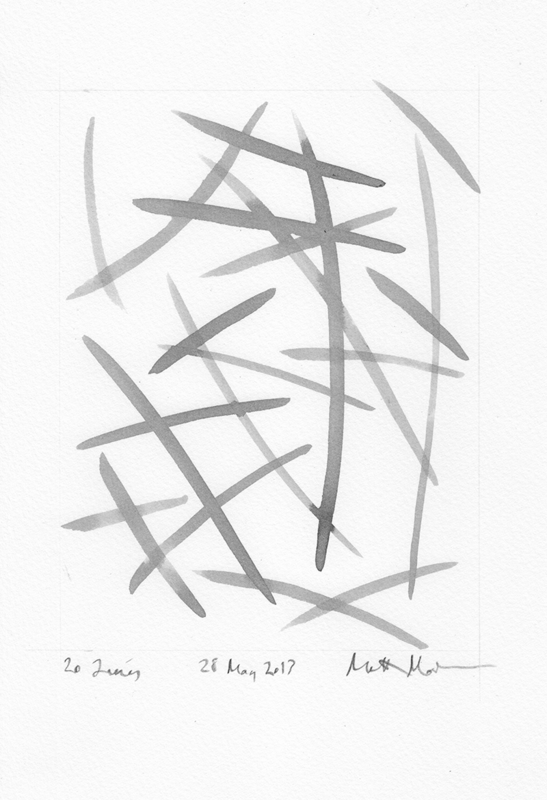 The drawings are 7″ by 10″ (17.75cm x 25.40cm), mostly on Daler-Rowney Langton Prestige series hot press watercolor paper. 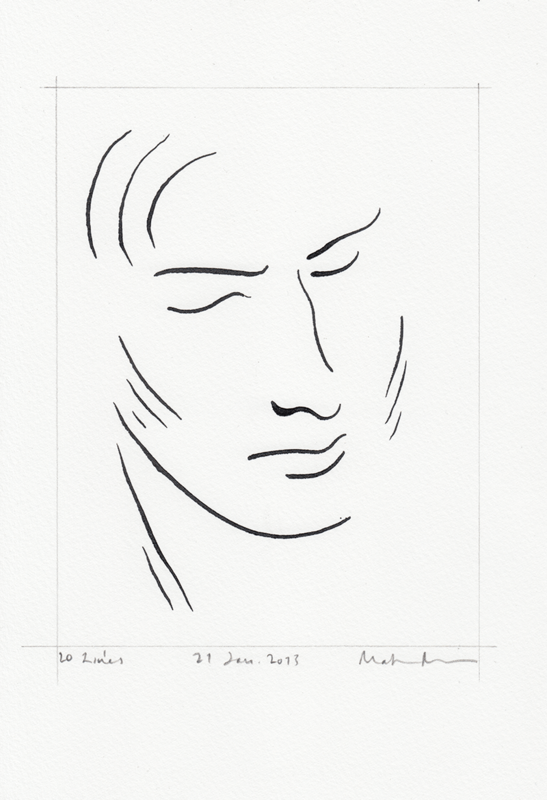 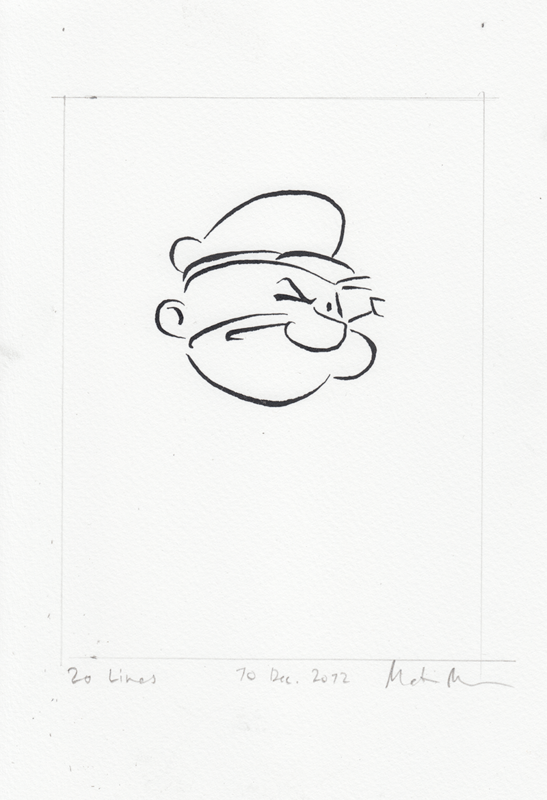 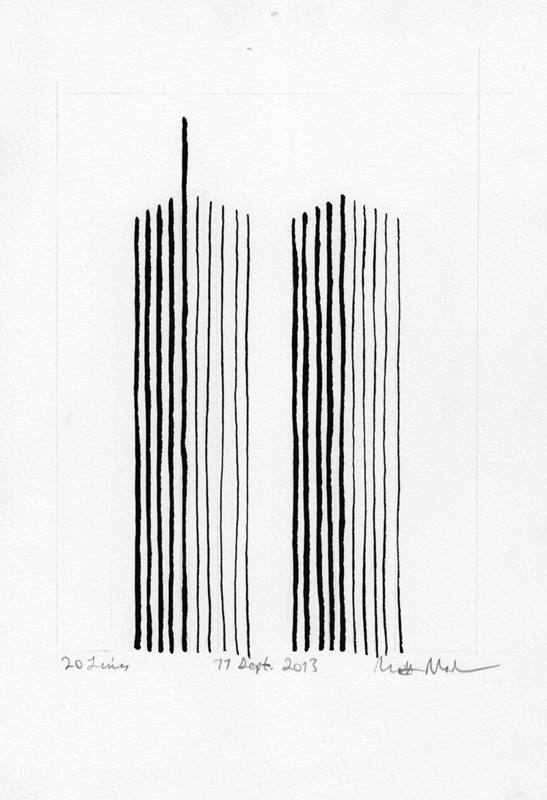 Not all of the drawings are for sale and a few of them are being sold via etHALL.